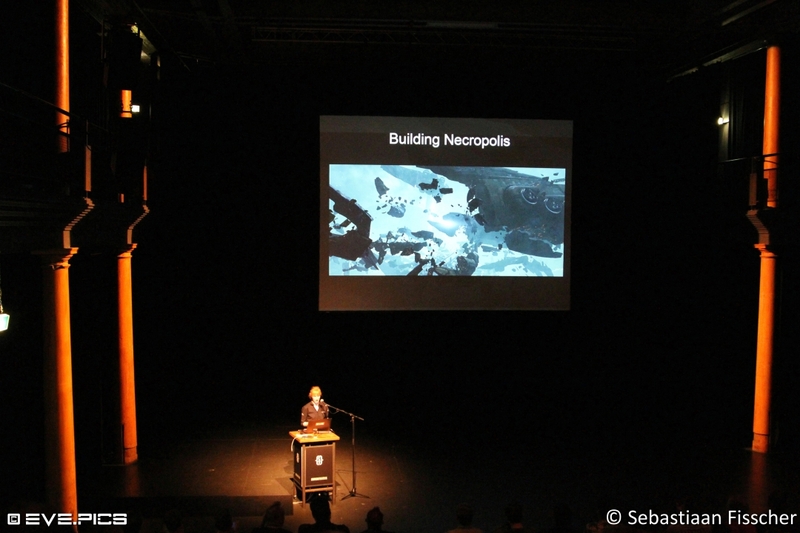 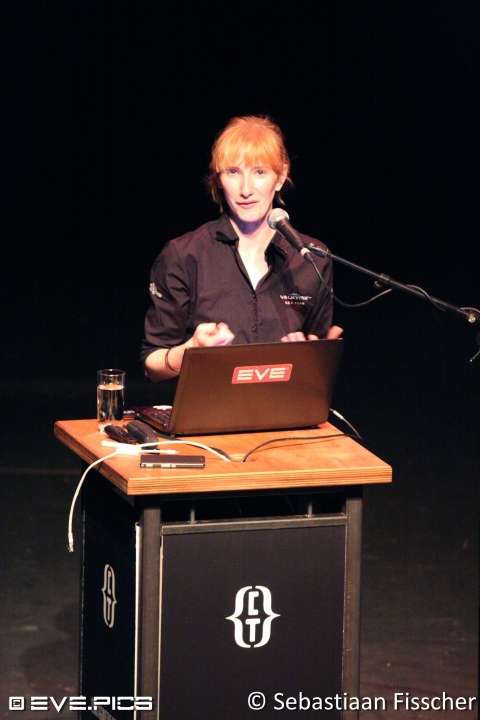 Evesterdam 2015 was held again in Amsterdam at the Compagnie Theatre. 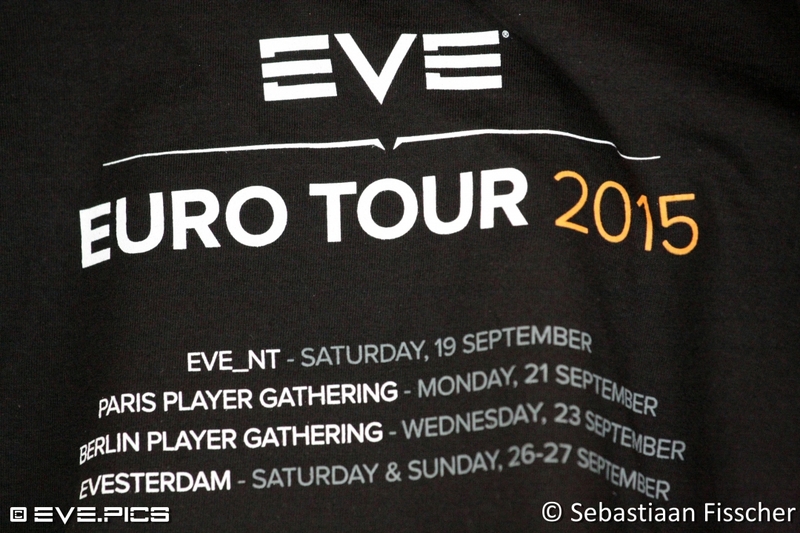 It’s dubbed the biggest EVE online player gathering not organised by CCP, and lasted 2 days this year. 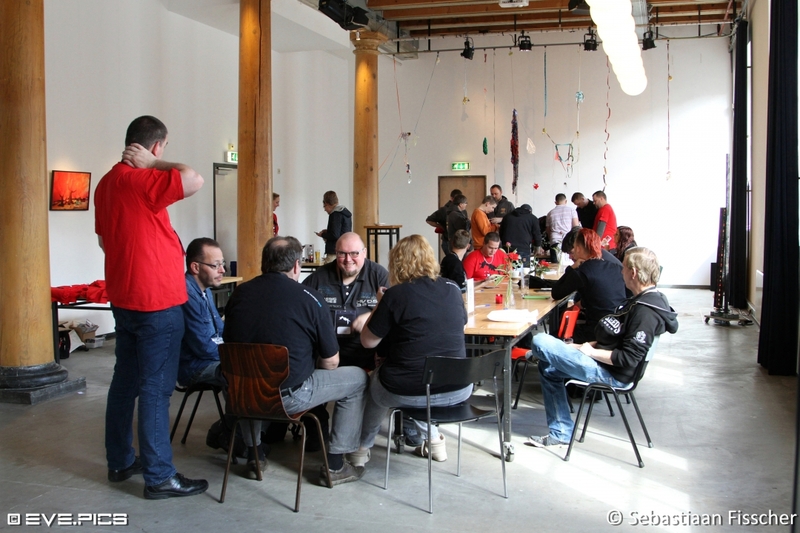 Evesterdam is organized by Valentijn Geirnaert (pilot Dierdra Vaal), and along with other volunteers he created a kind of miniature Fanfest. 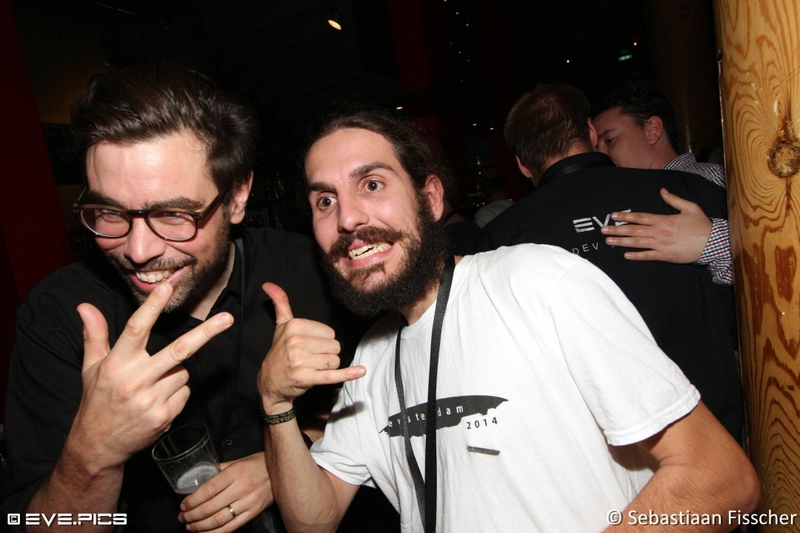 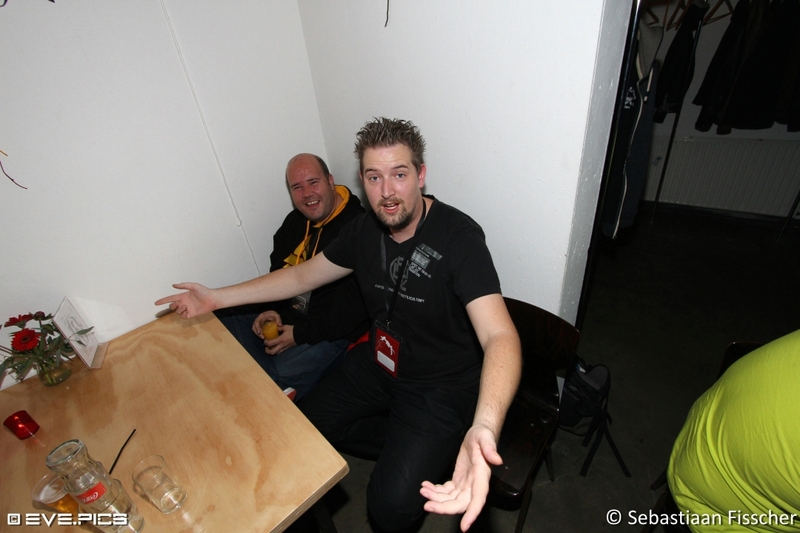 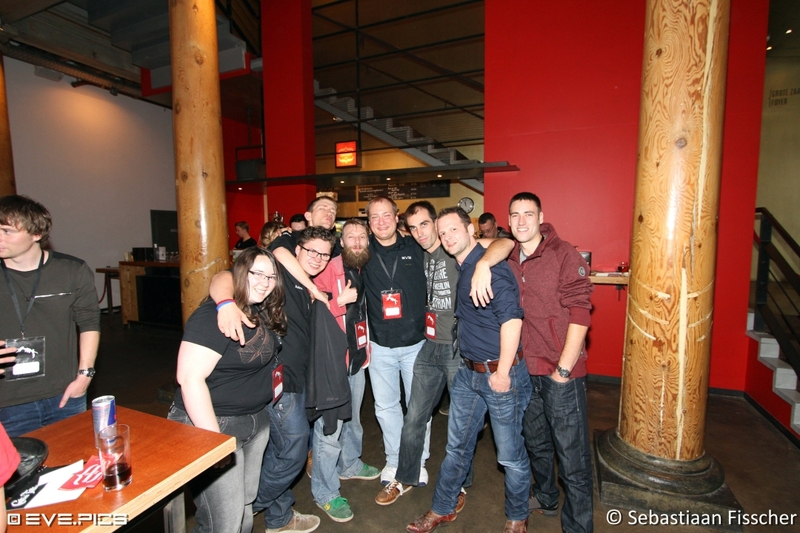 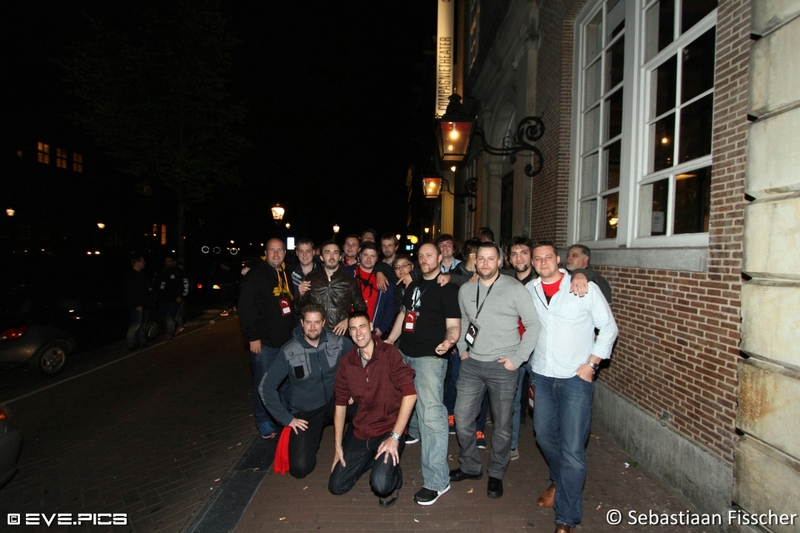 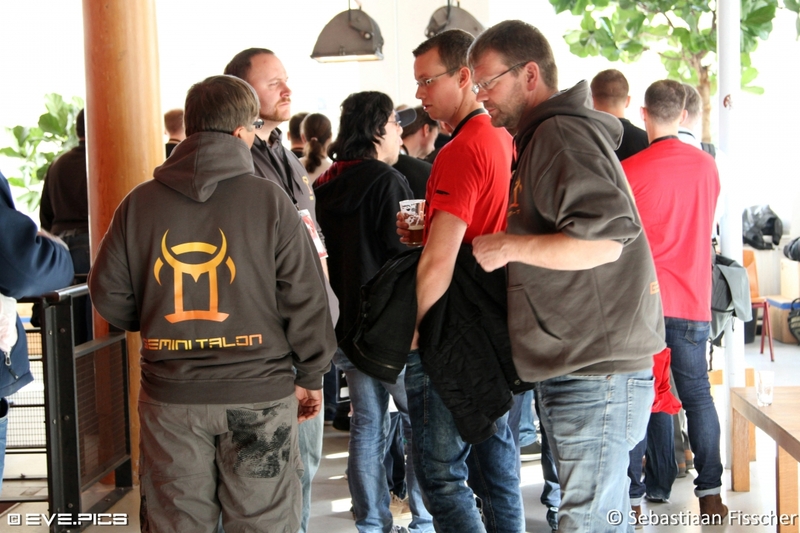 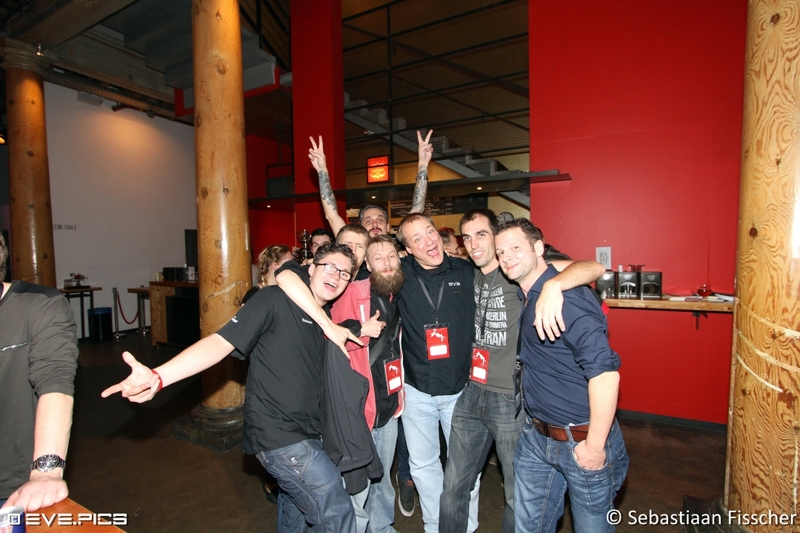 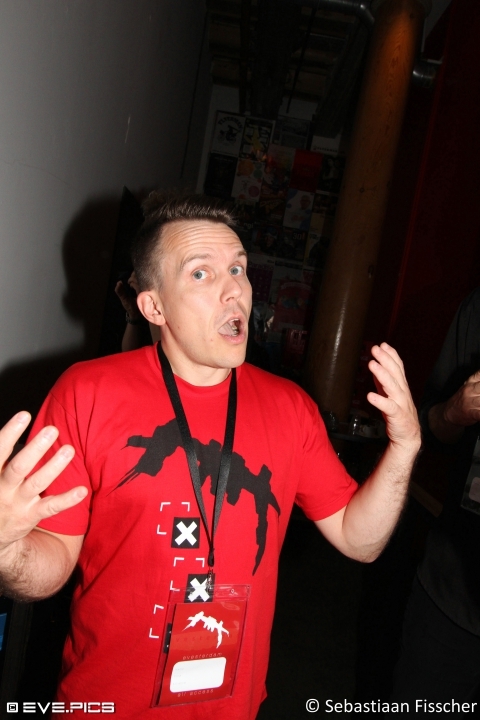 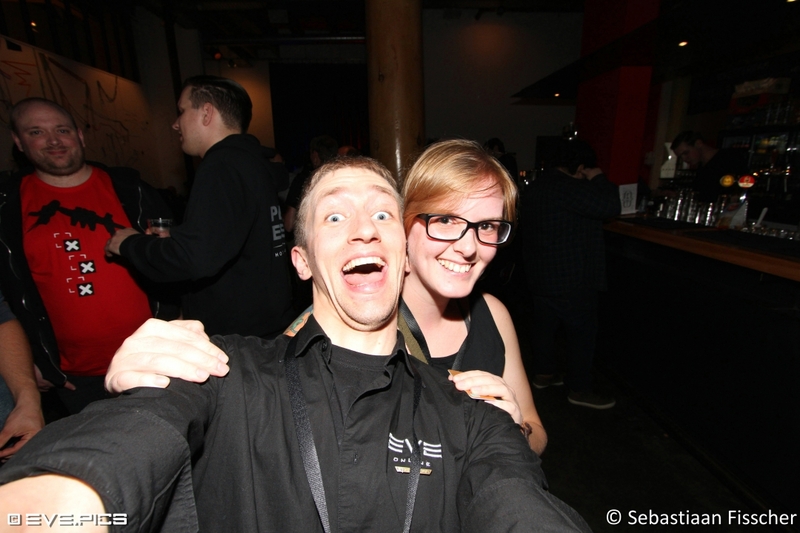 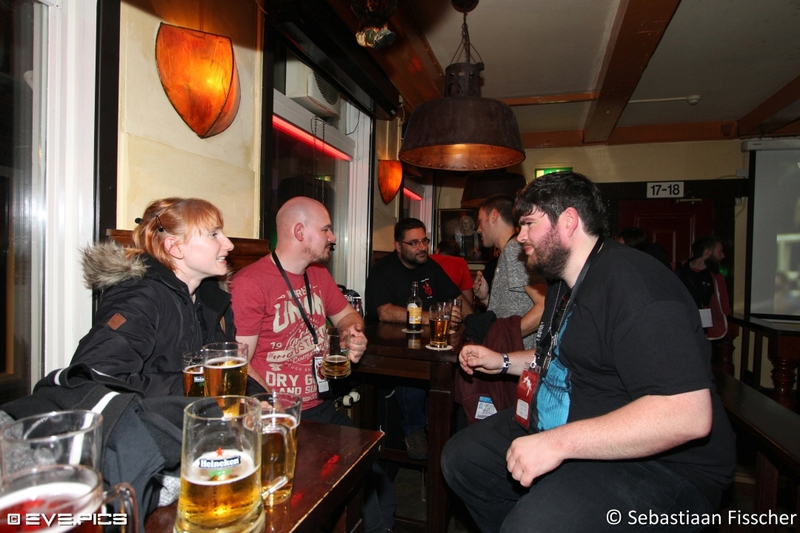 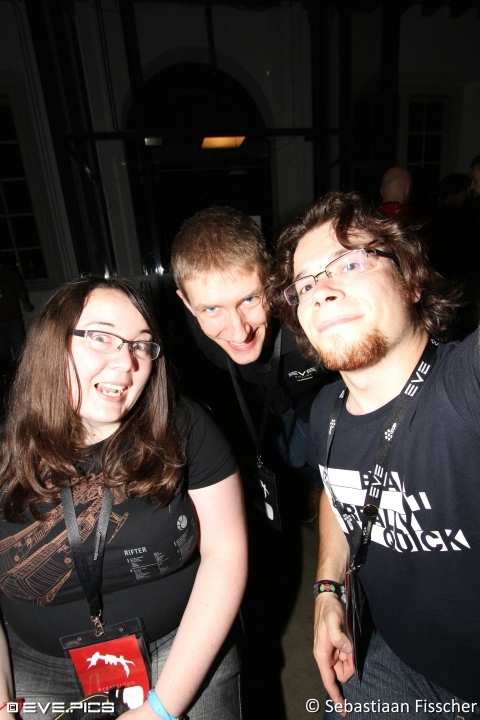 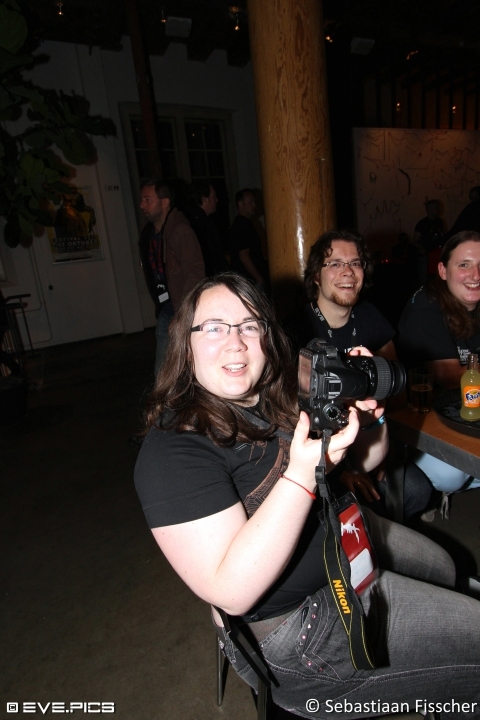 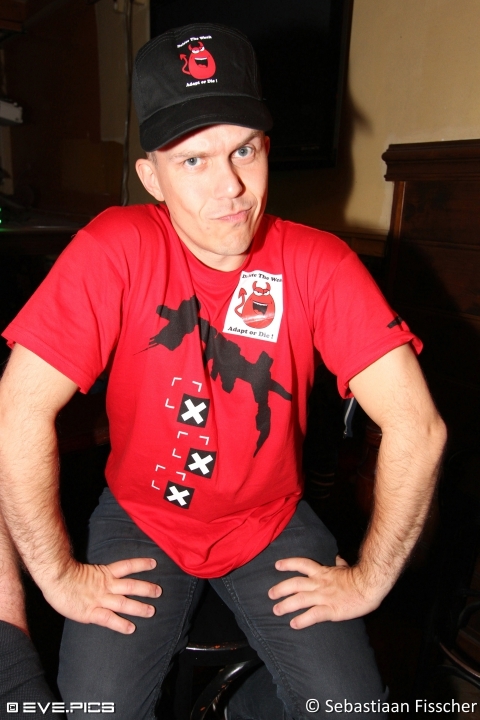 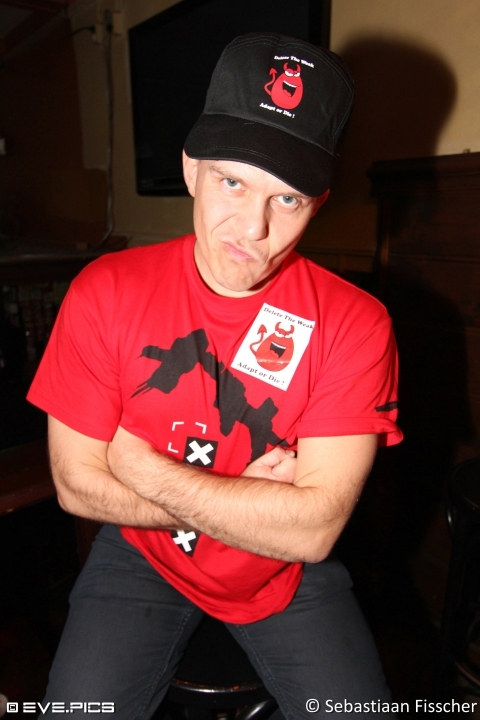 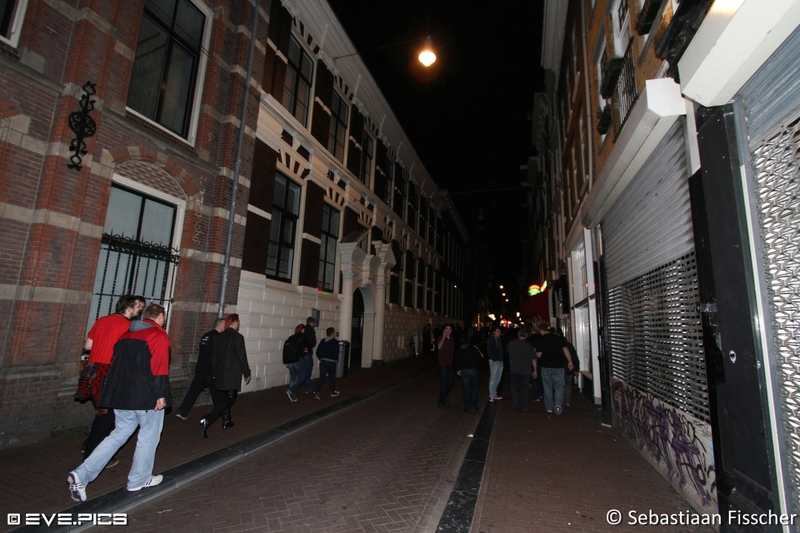 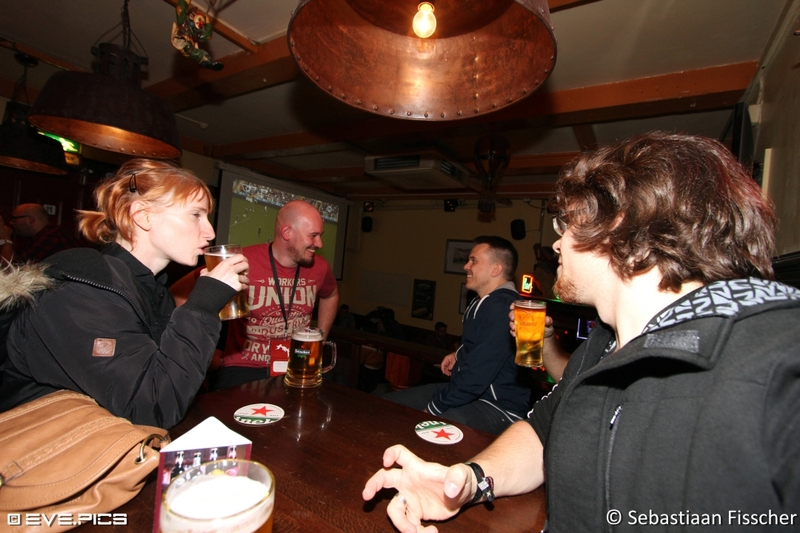 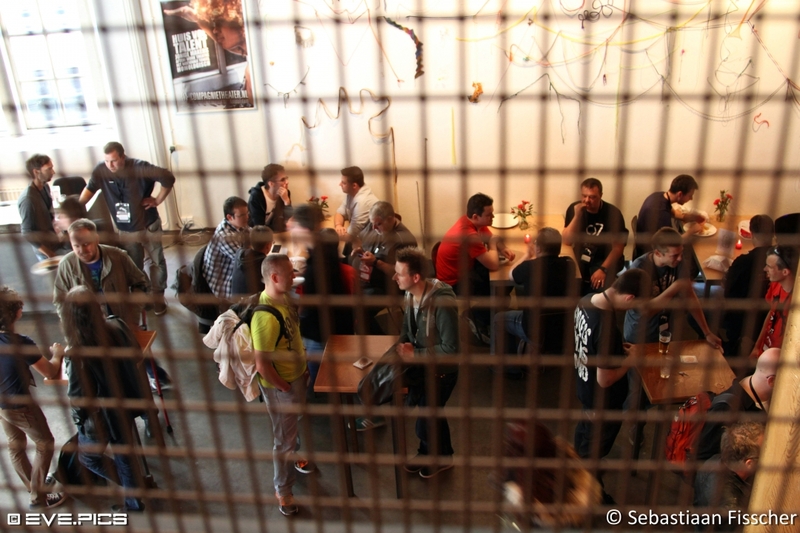 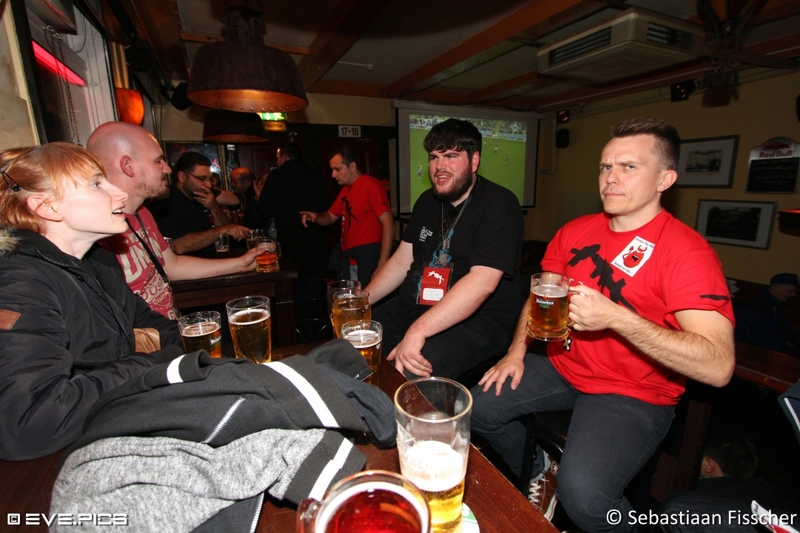 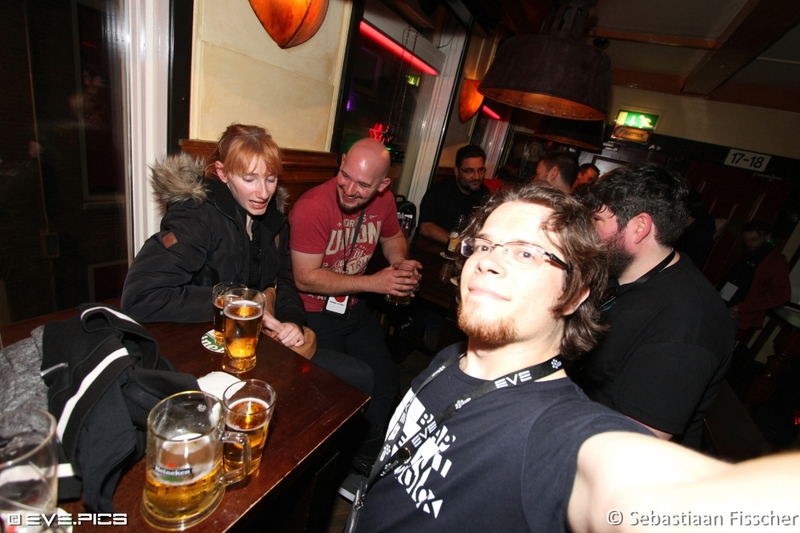 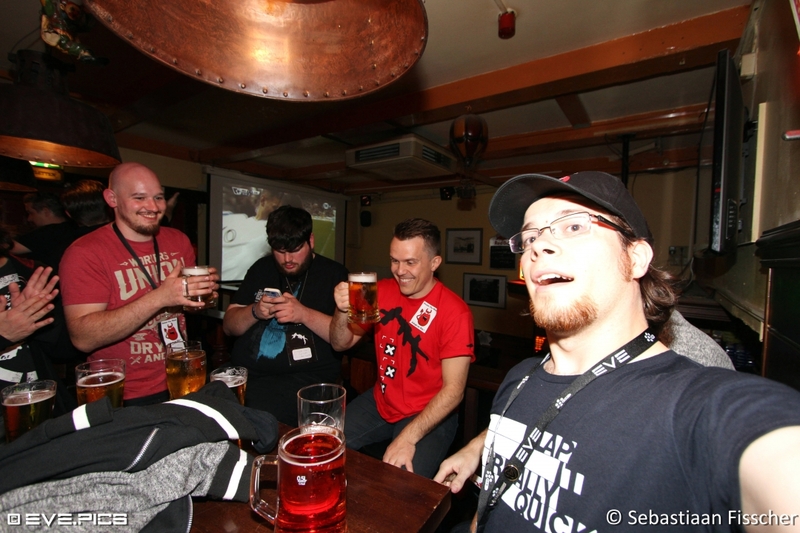 Evesterdam started in 2013 as not much more then a very fun pubcrawl with a CCP dev and tons of goodies. This year’s event was the third time it was organized and there were player presentations, CCP presentations (with awesome new stuff shown! 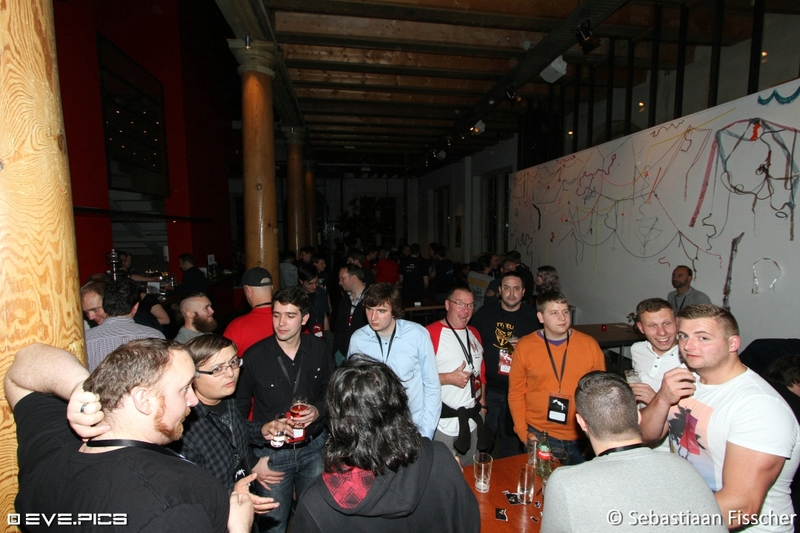 ), a DJ party, a pubcrawl, and prizes worth billions and billions of ISK! 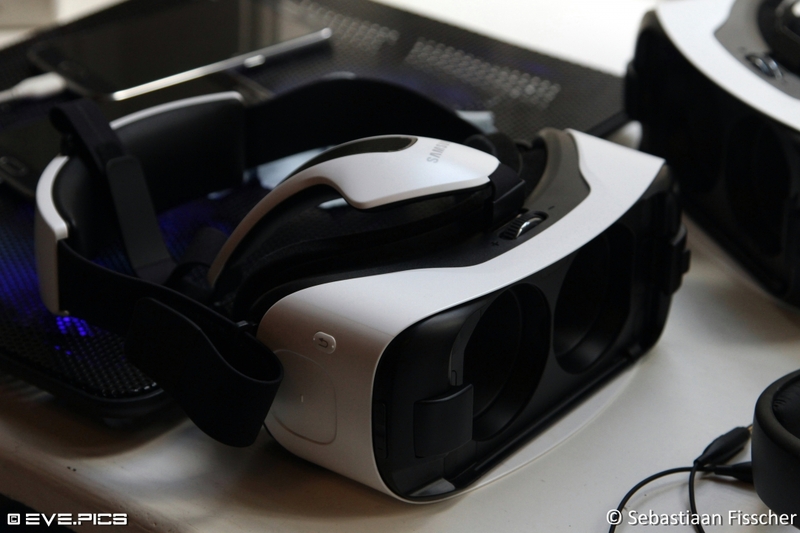 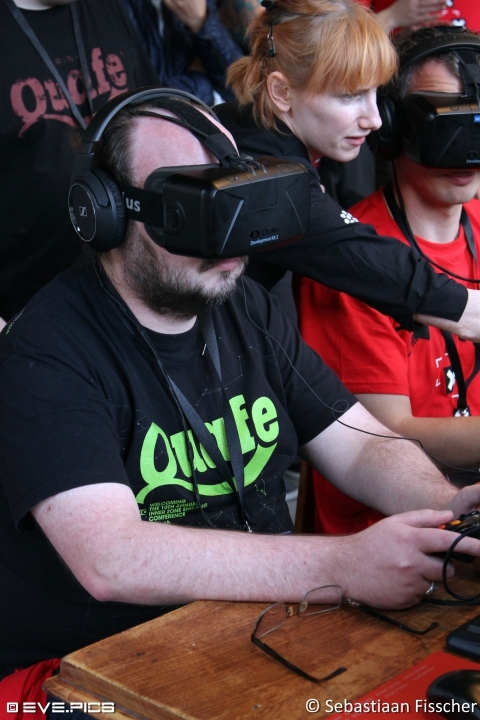 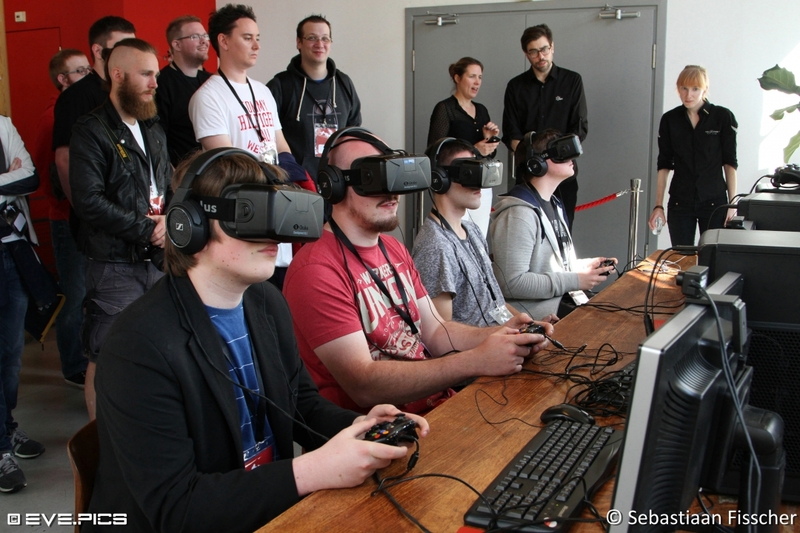 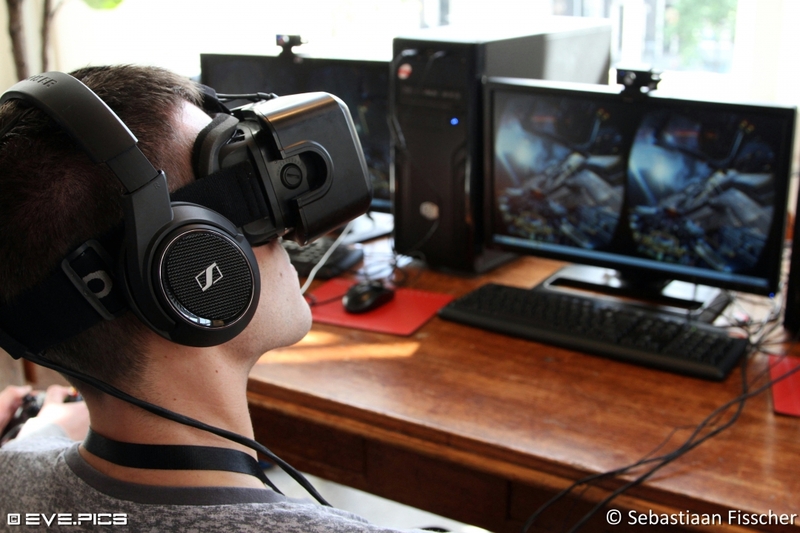 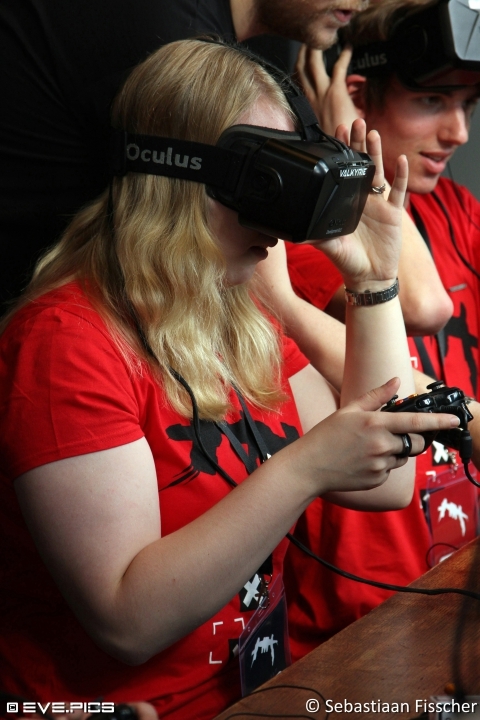 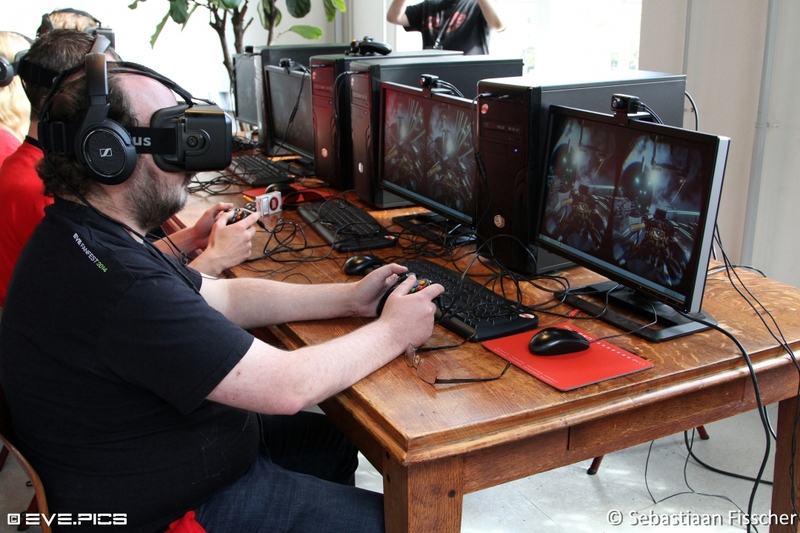 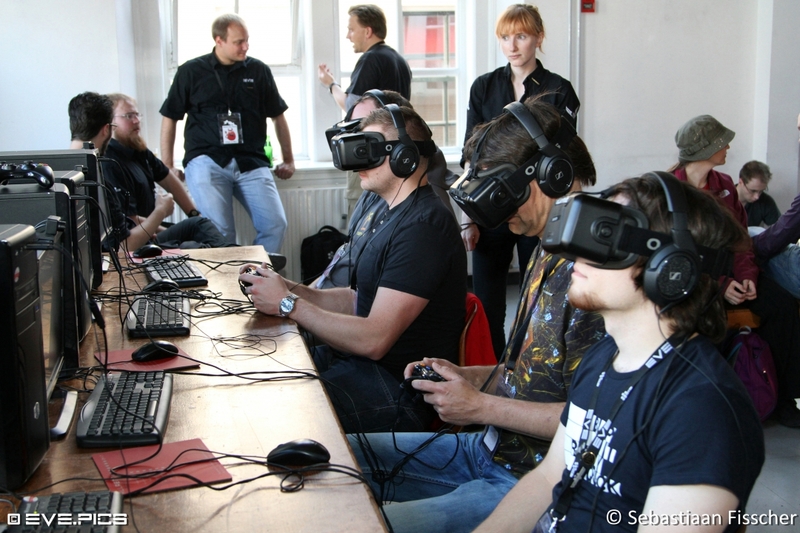 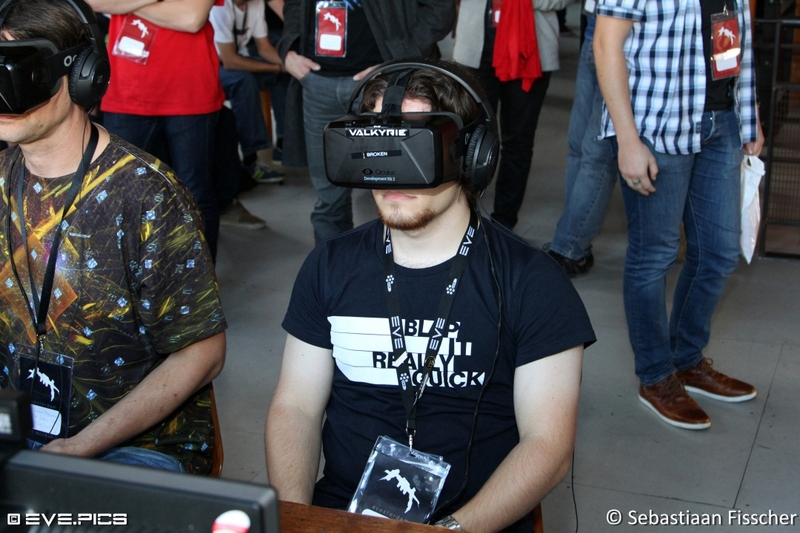 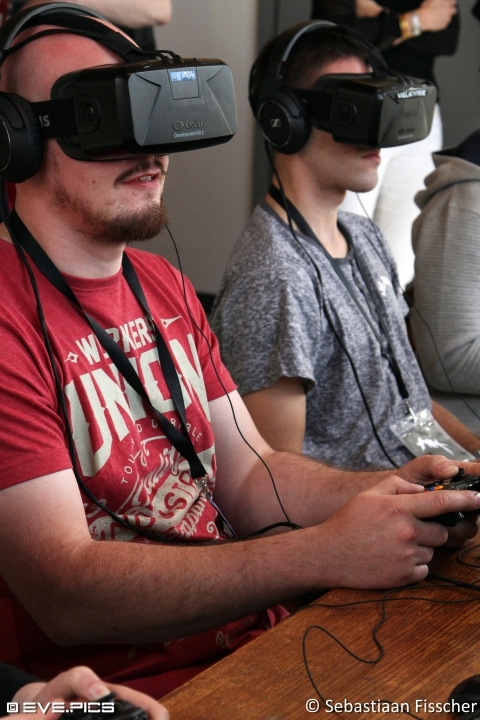 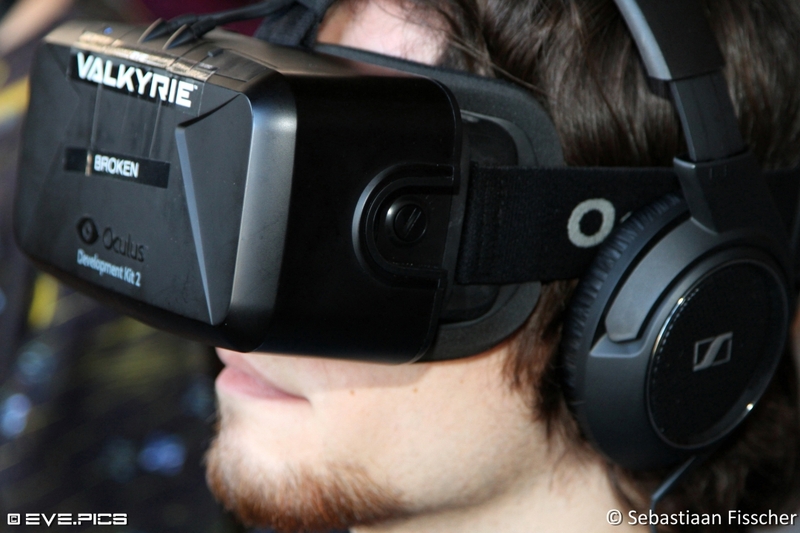 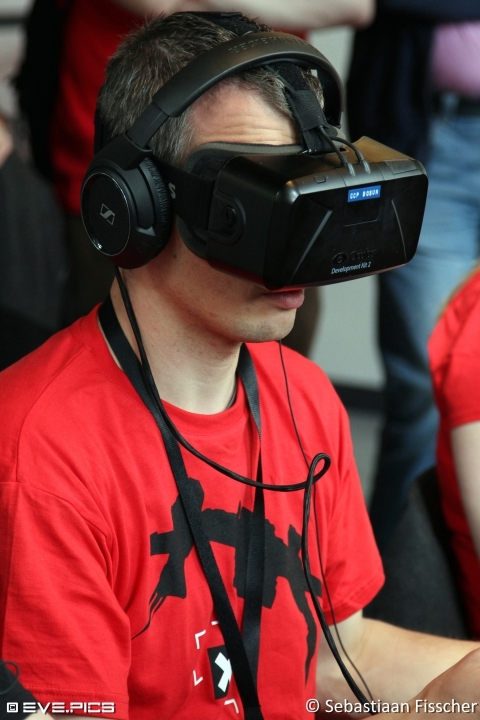 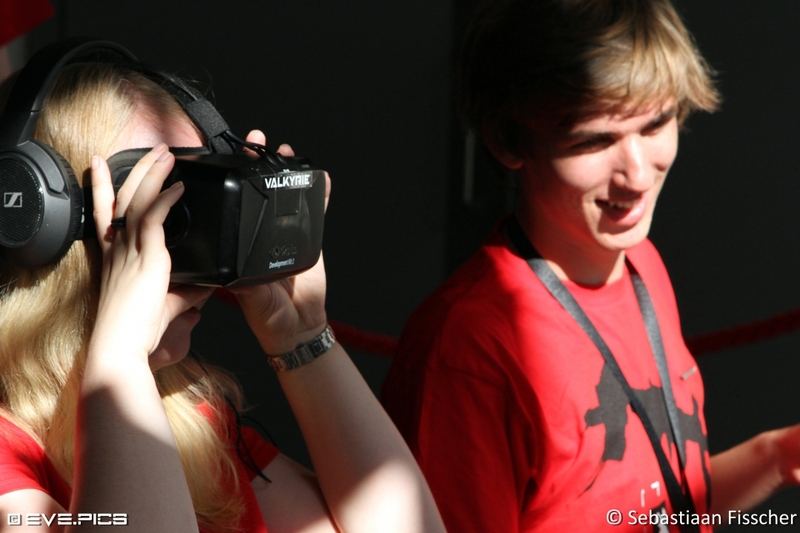 CCP had also taken the opportunity to bring four Oculus Rift VR Goggles with them so attendees could play EVE Valkyrie. 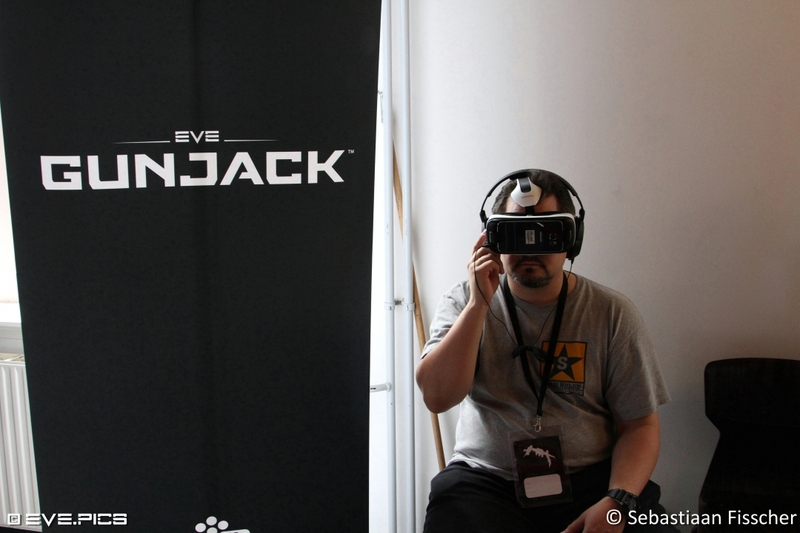 They had also brought along EVE Gunjack, the exciting new VR turret shooter. 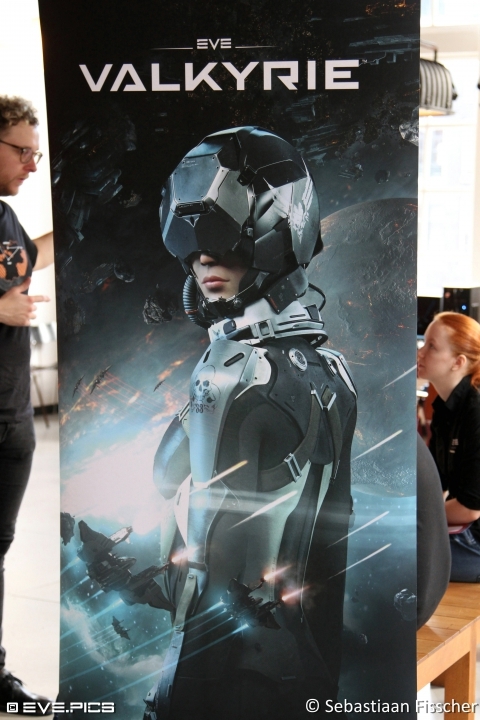 EVE Valkyrie showed us the singleplayer campaign mode and man that is cool stuff! 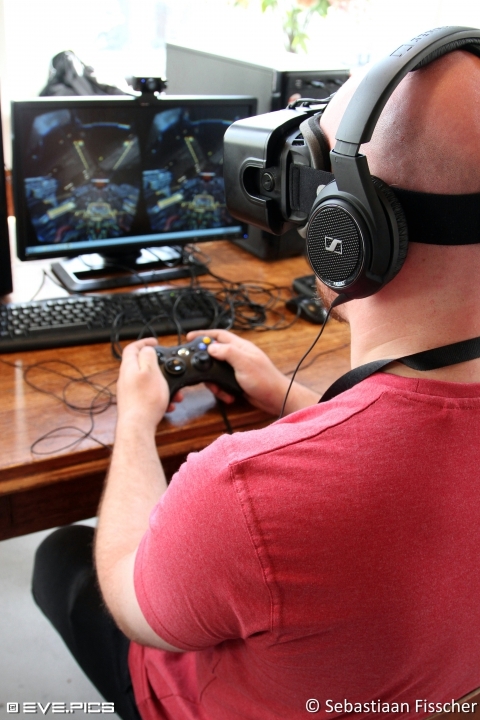 Putting on the goggles and flying the fighter spacecraft is seriously good fun. 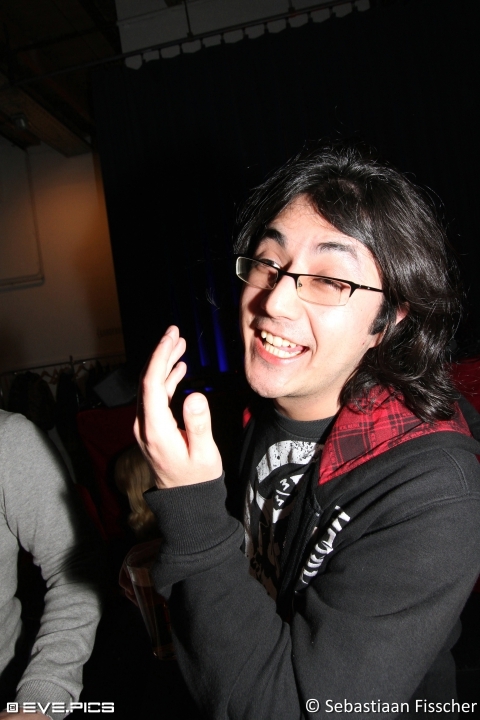 It’s like a non-stop roller coaster with guns and explosions everywhere. 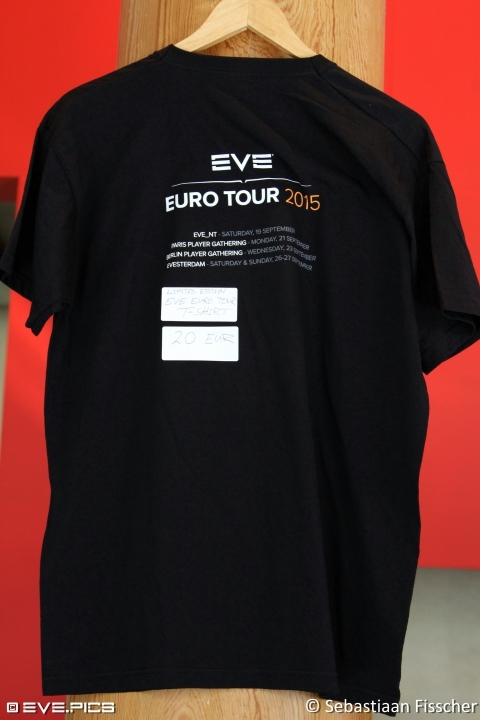 EVE Gunjack on the other hand surpised me even more. 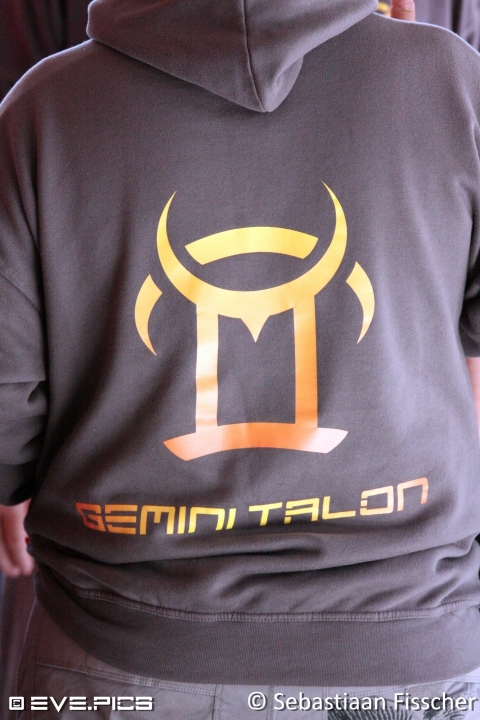 It’s a fixed position shooter, you take command of a turret and need to fend off enemy ships, and even an Abaddon! 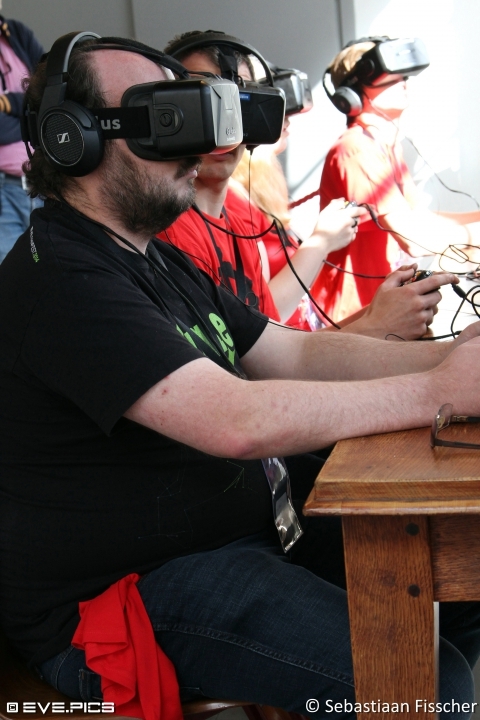 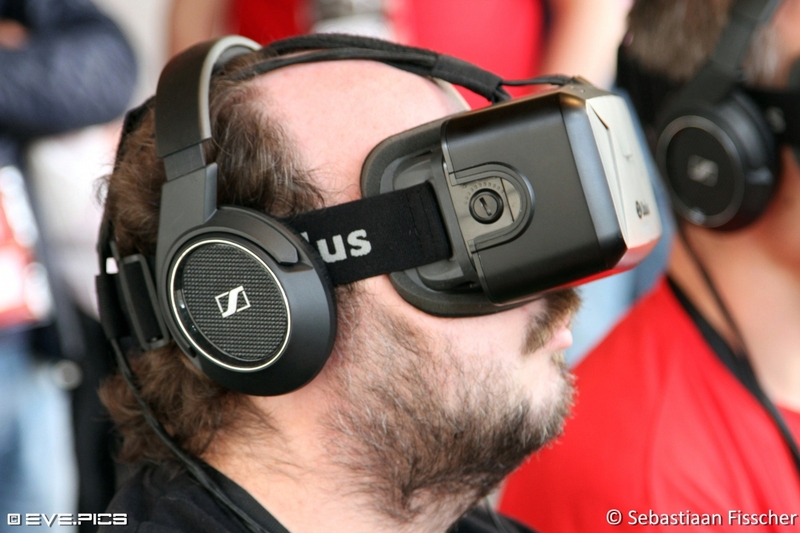 EVE Gunjack is actually played on a Samsung mobile phone, connected to VR goggles. 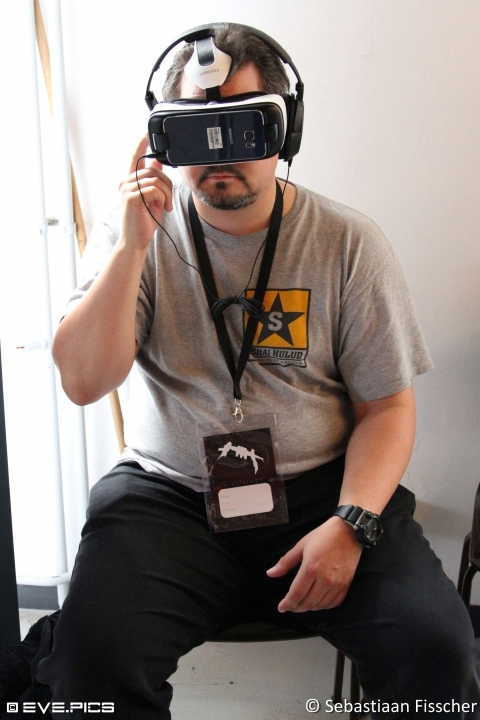 The goggles have a touchpad integrated that serves as the controls for shooting and reloading the guns, and looking into any general direction aims the gun turret. 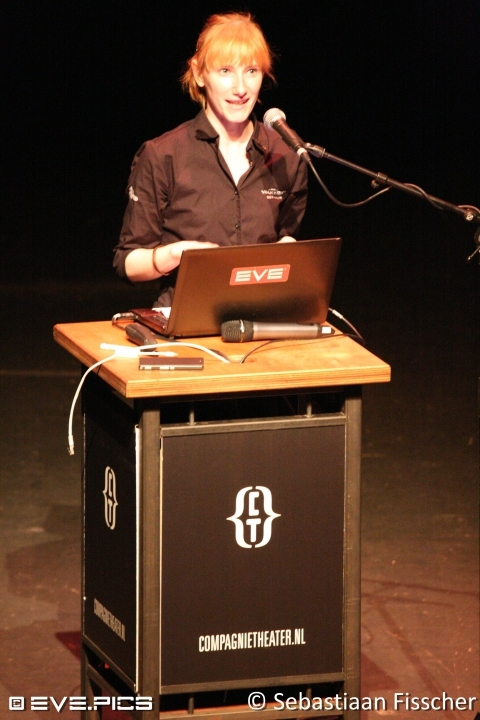 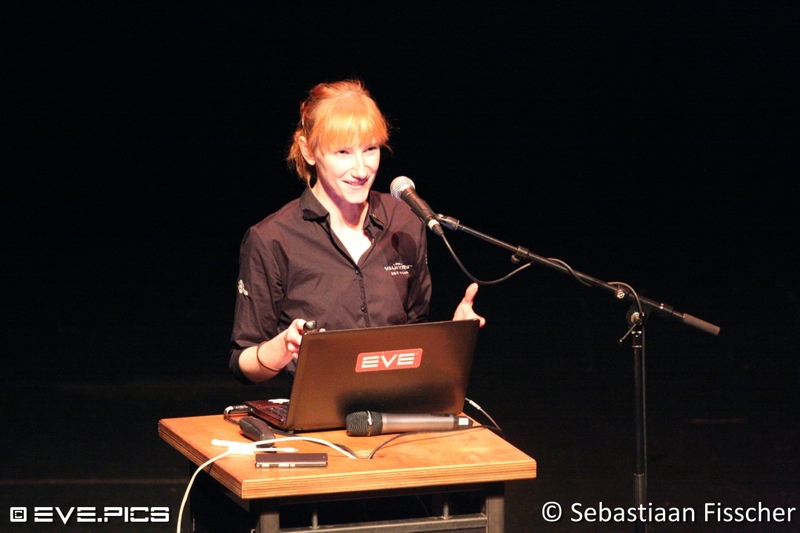 There were also plenty of EVE player presentations, varying from how to make ISK in-game to hints and tips on how to organize EVE online events of your own. 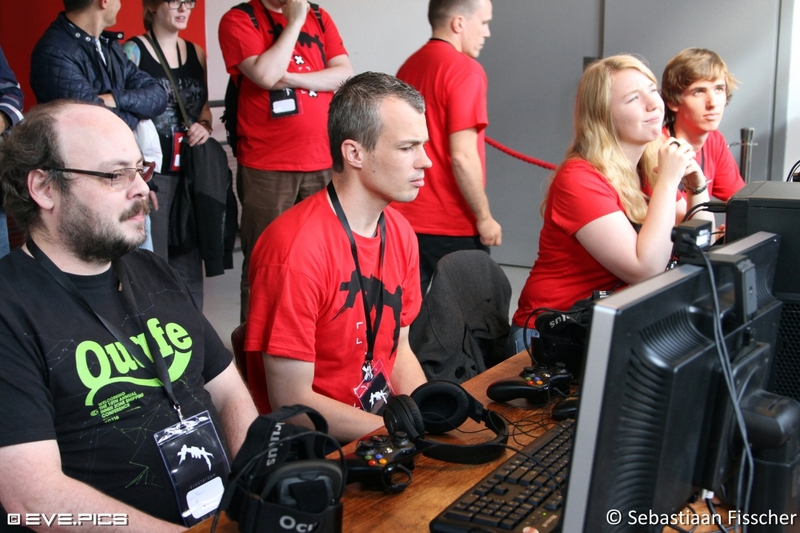 It’s very inspiring to see how much time and effort pilots put into their game, and how dedicated they are to their in-game career path. 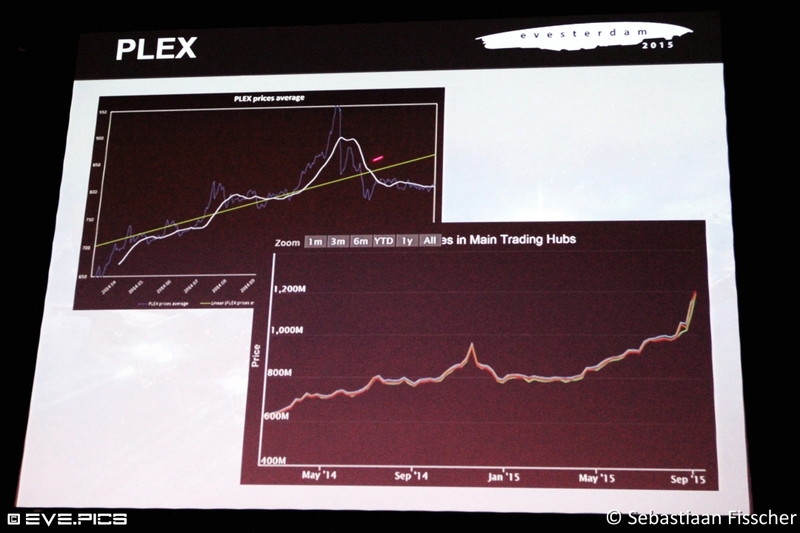 People tend to spend hours and hours calculating profits and margins or setting up wardec roams or scams. 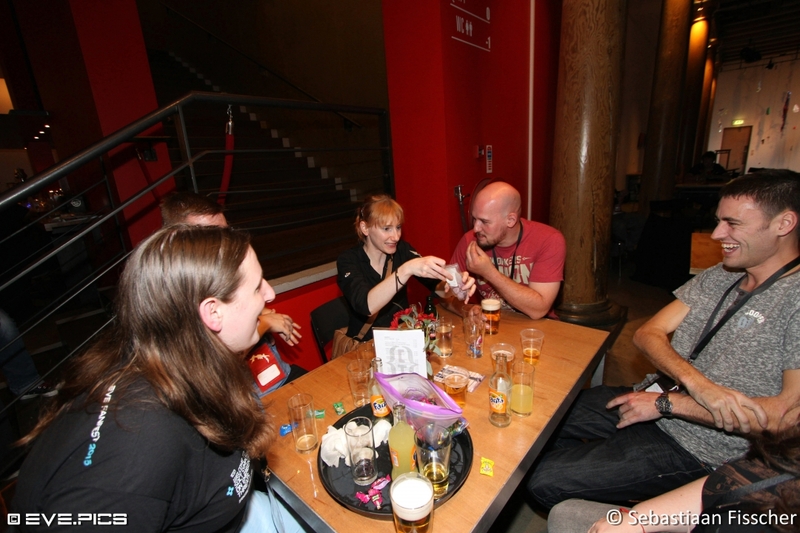 After every presentation there was a prize draw that was sponsored by EVE Online players and organisations like Red Frog, Eve-Lotteries, Eve Online Hold’em and of course EVE.pics. 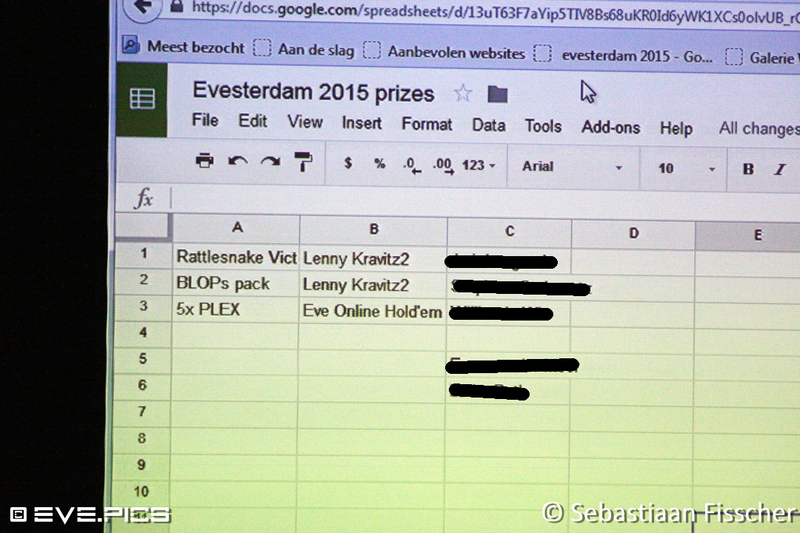 I think the exact number of the value of all the prizes was over 400 billion ISK… now that’s something! 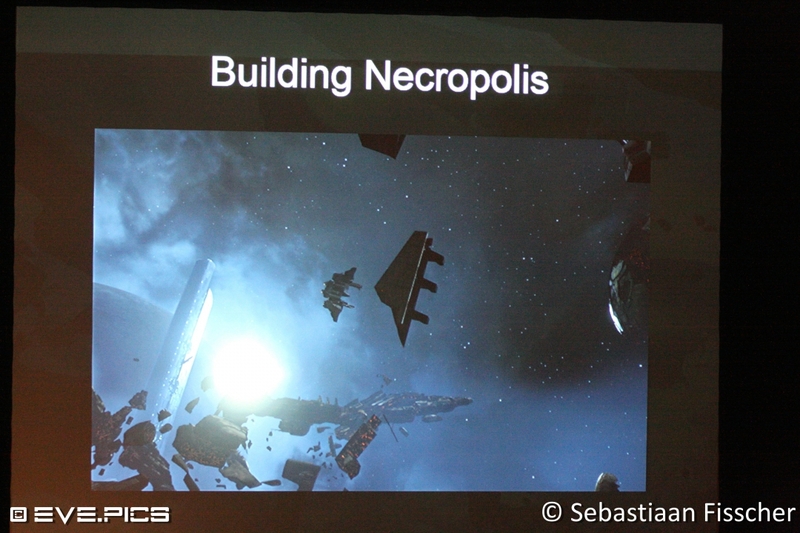 There were also presentations by CCP themselves about EVE Valkyrie, the new sovereignty system and about upcoming features in the world of New Eden. 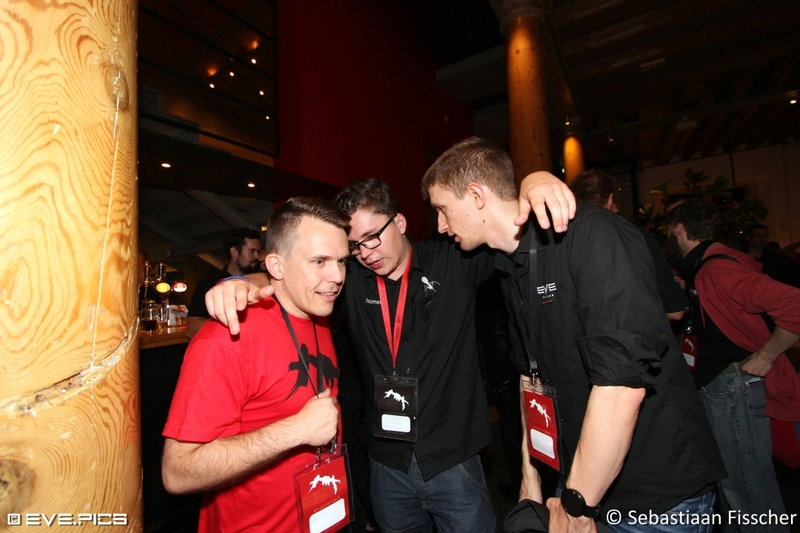 CCP FoxFour also showed us a beta version of the new launcher that (hopefully) will be coming soon! 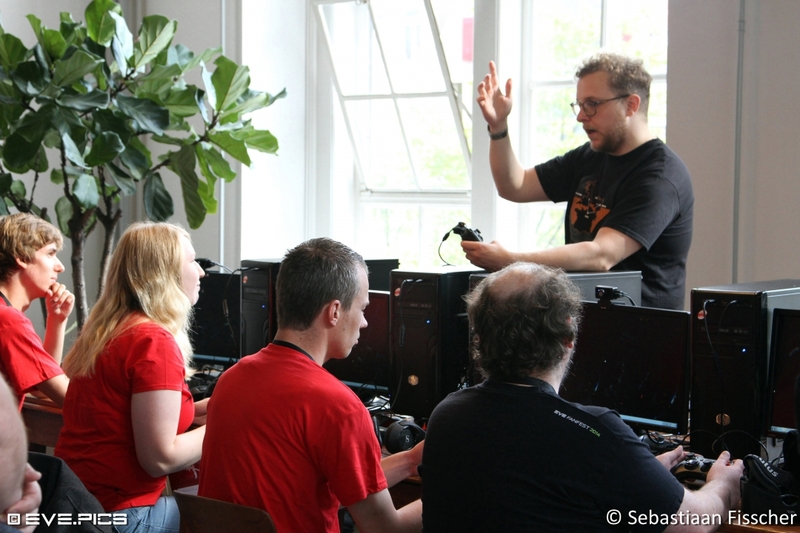 The new launcher gives pilots the ability to log into the Tranquility server, but also the Singularity and Duality test servers. 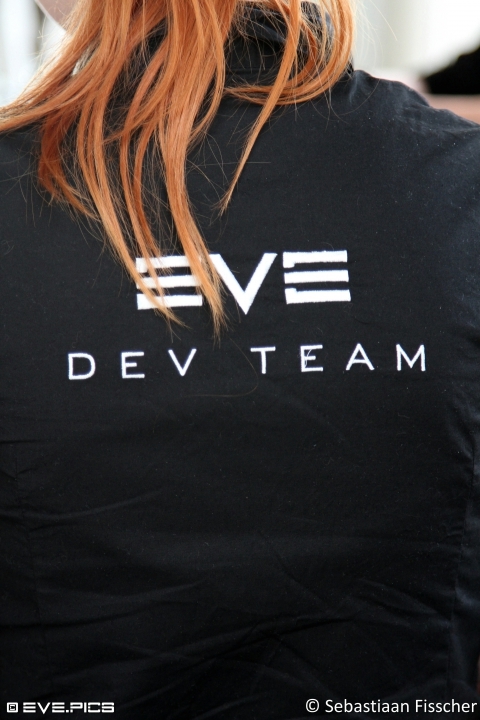 This means that you no longer need two fully installed Eve clients on your pc in order to run the test server. 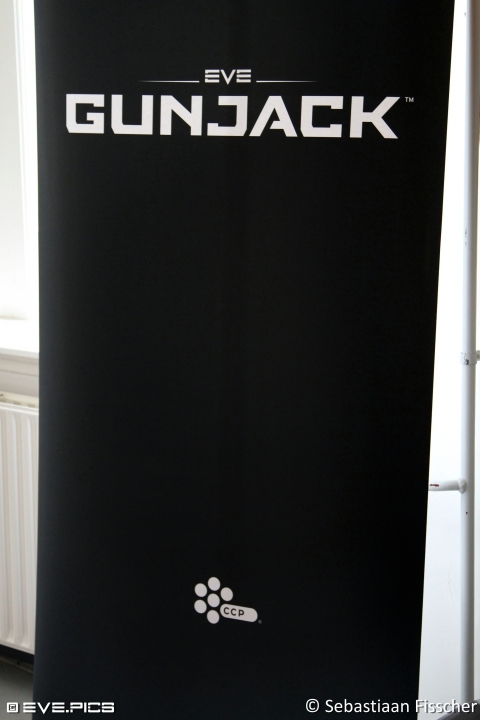 It also supports multi account simultaneous login, and different custom graphic pre-sets, which you can change before logging in. 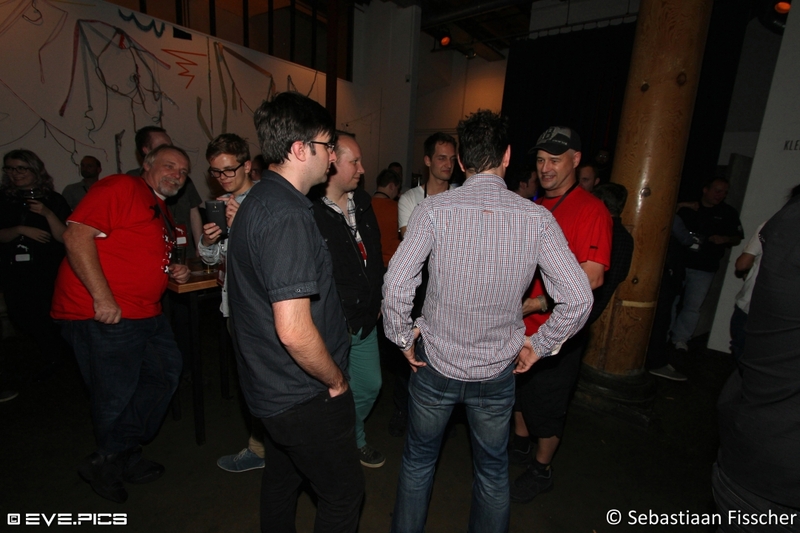 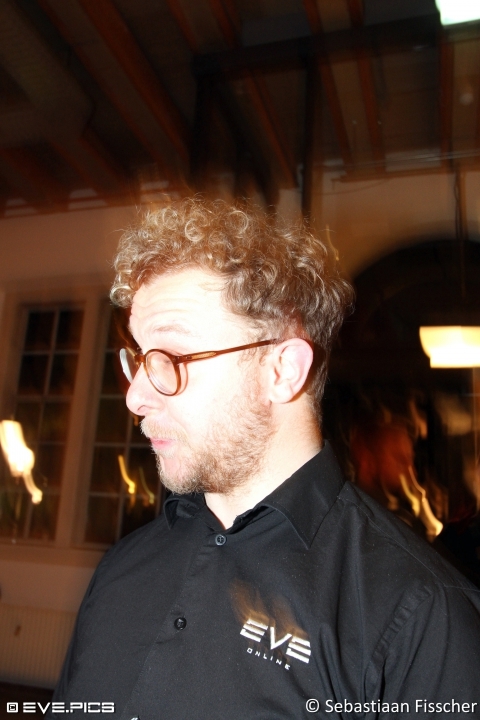 On Saturday we had a DJ party hosted by CCP with free drinks and good music. 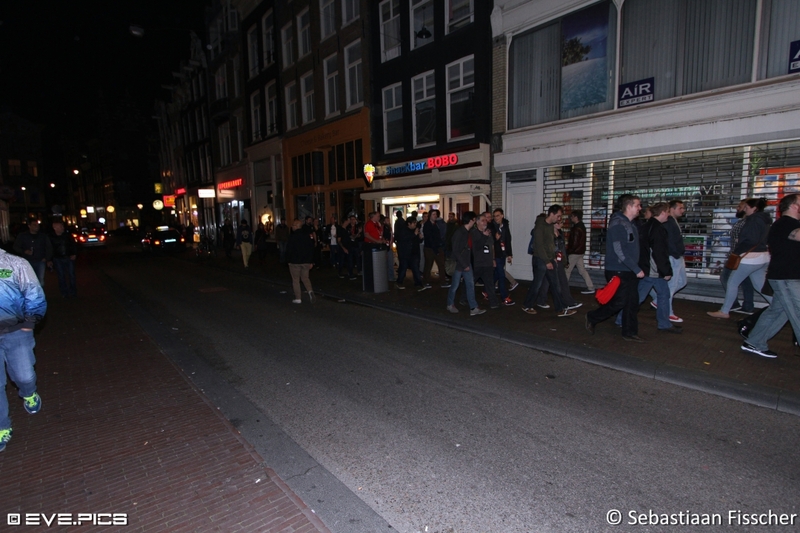 After that most of the attendees went out into the night-life of Amsterdam. 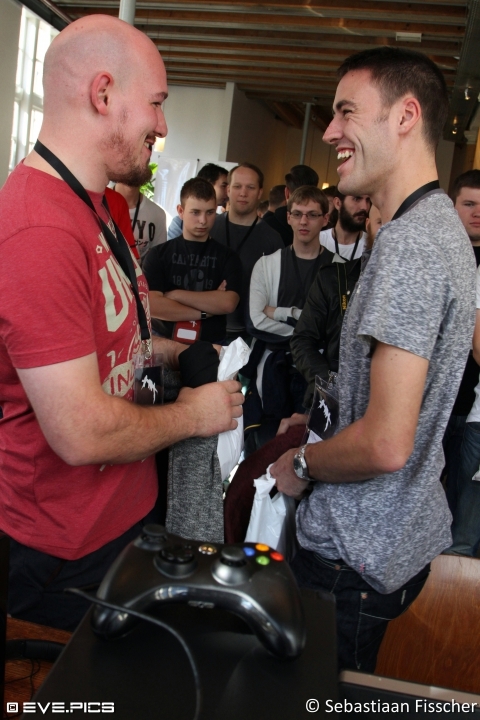 For me personally it was good fun talking to the other pilots and catching up with them. 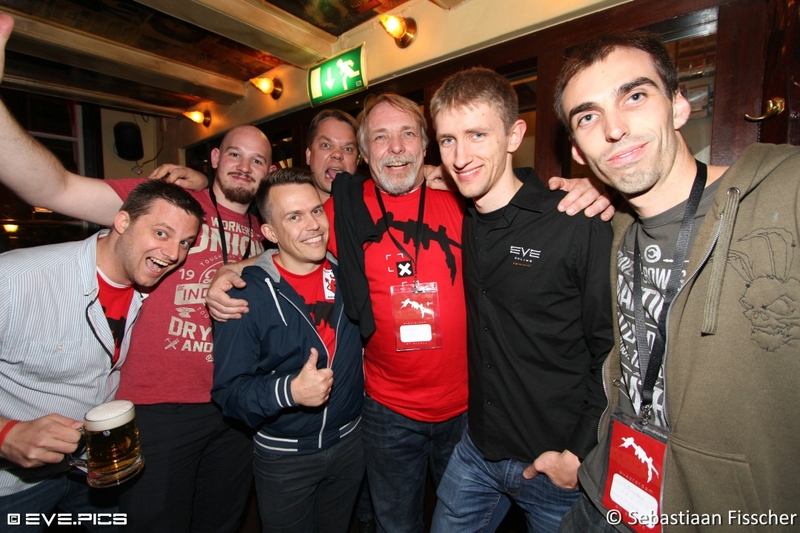 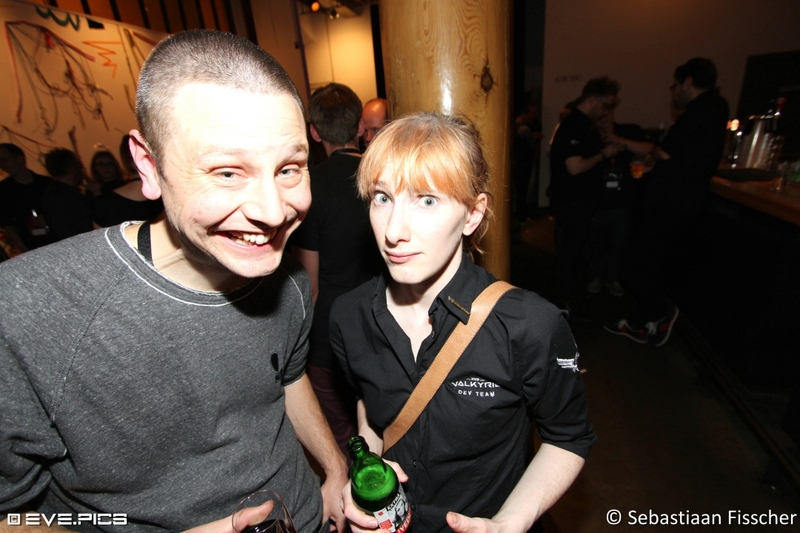 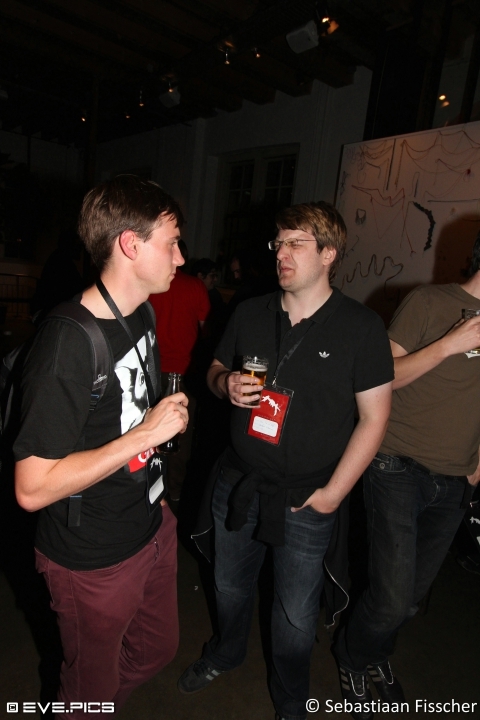 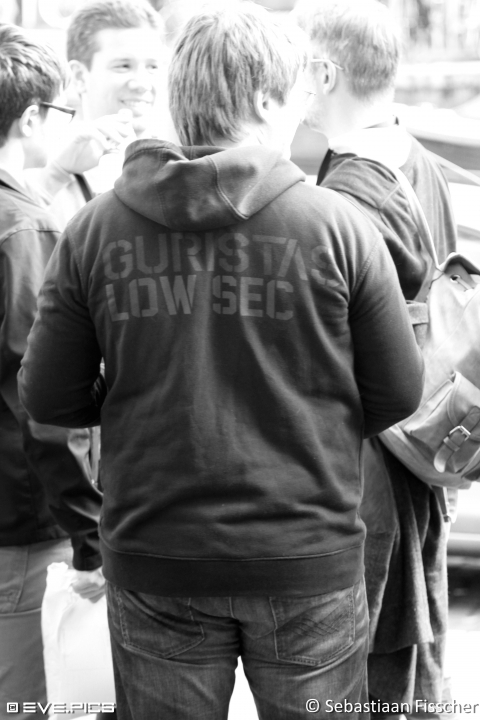 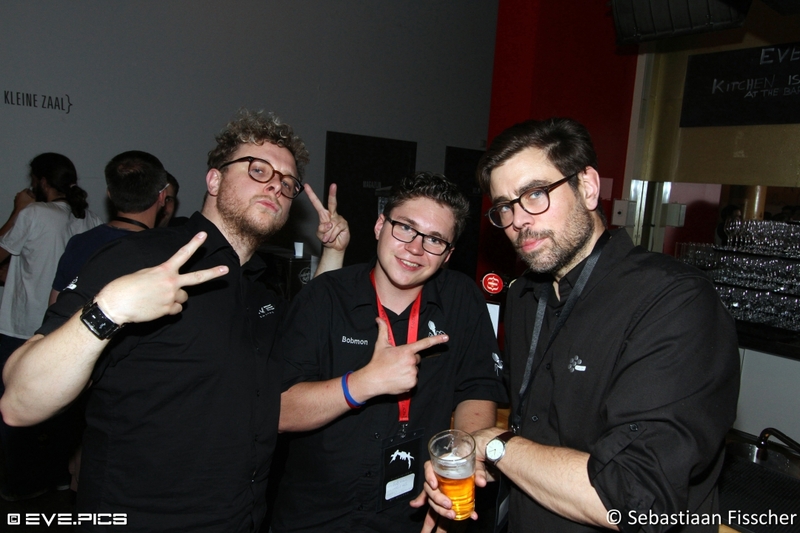 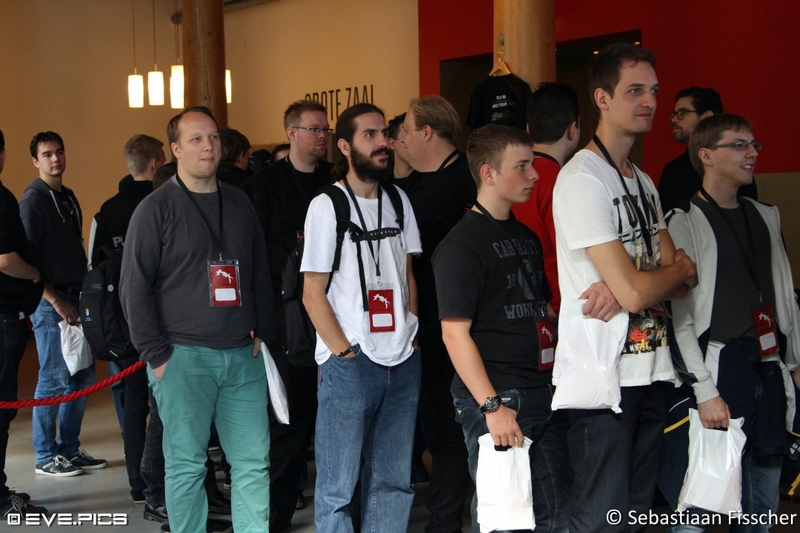 A couple of CCP devs accompanied us as well, like CCP Guard and CCP FoxFour. 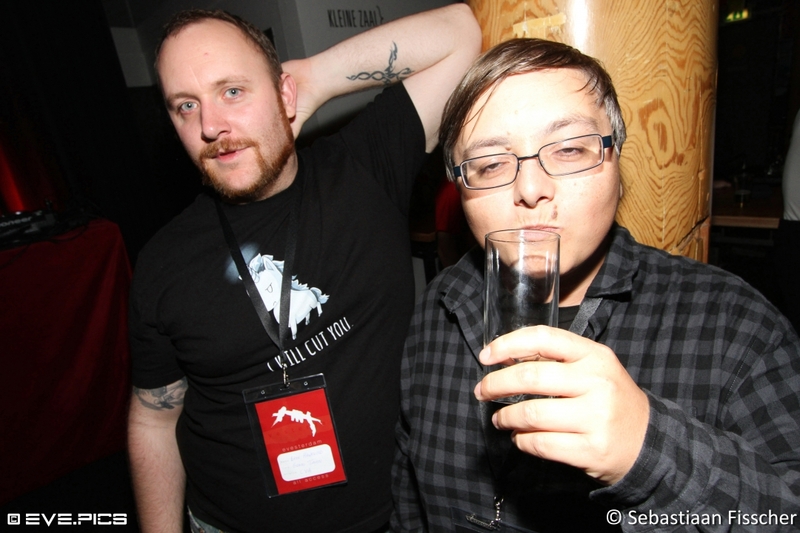 They are true party animals and we talked with them well past midnight. 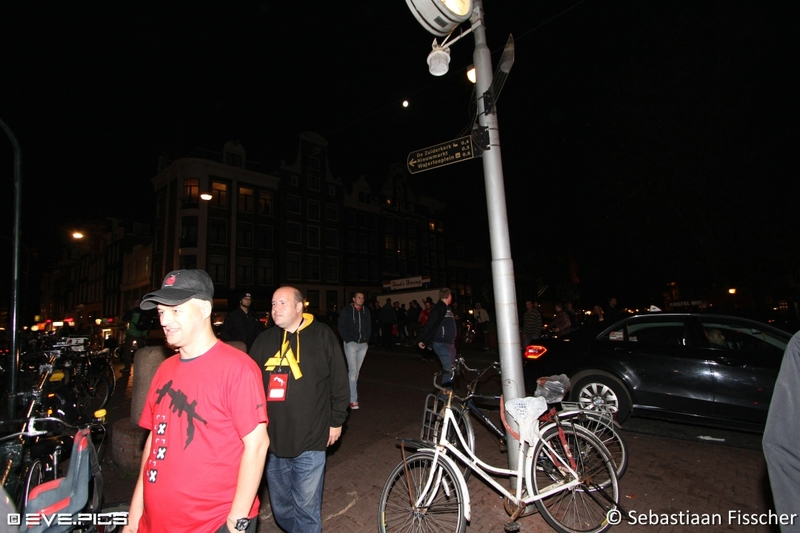 Sadly everything came to an end again on Sunday, on the night of the blood moon. 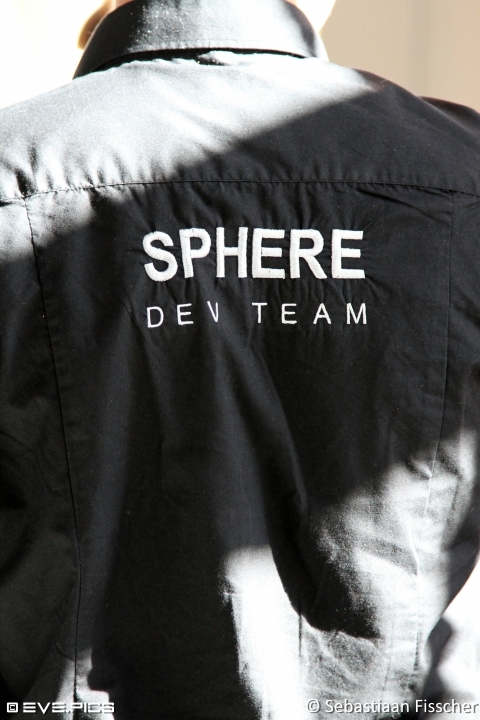 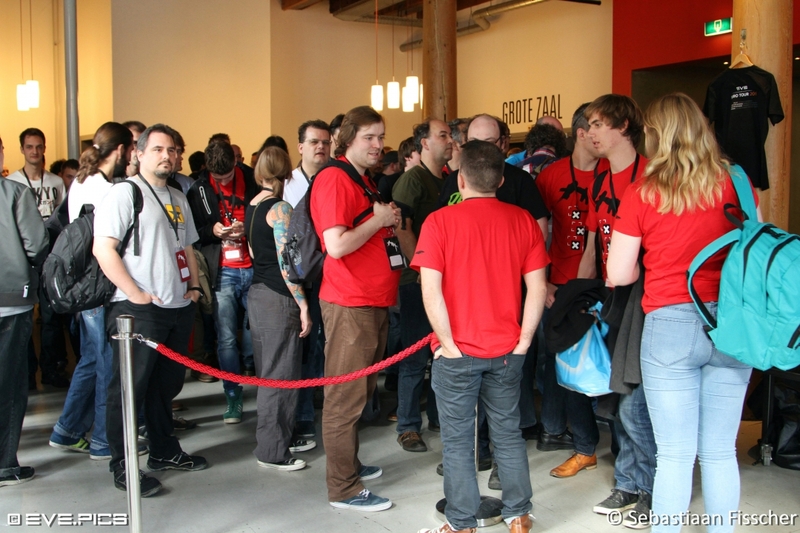 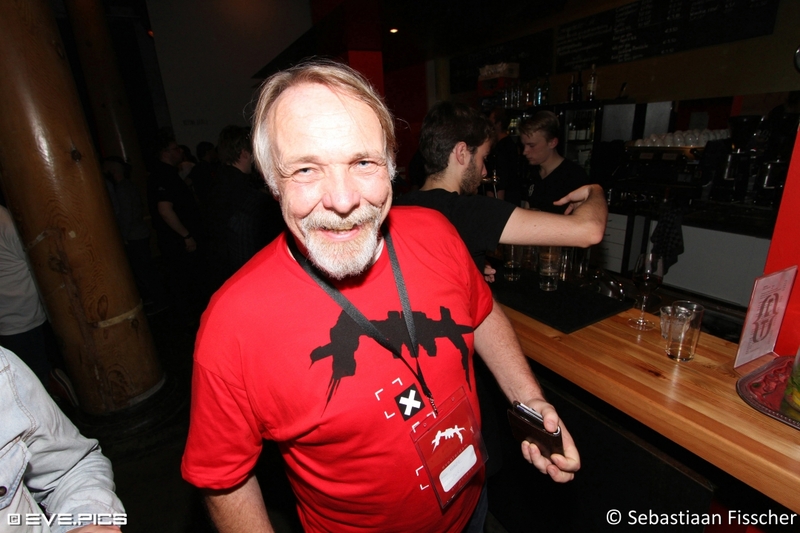 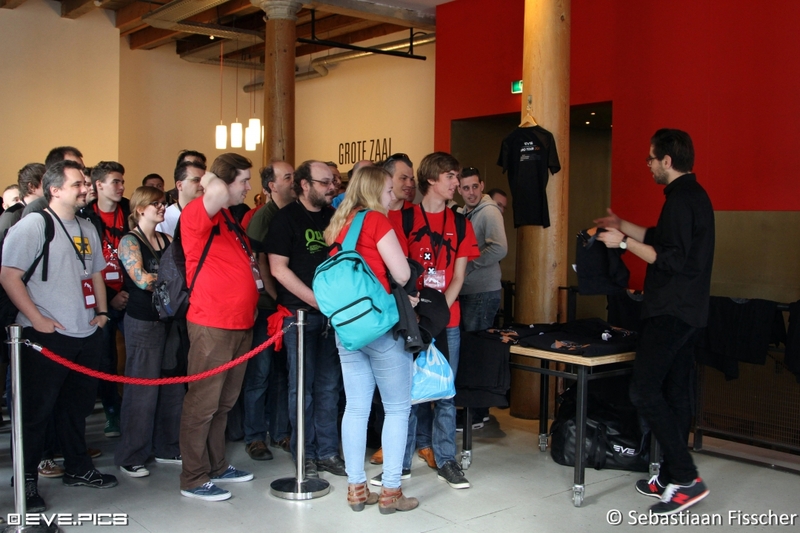 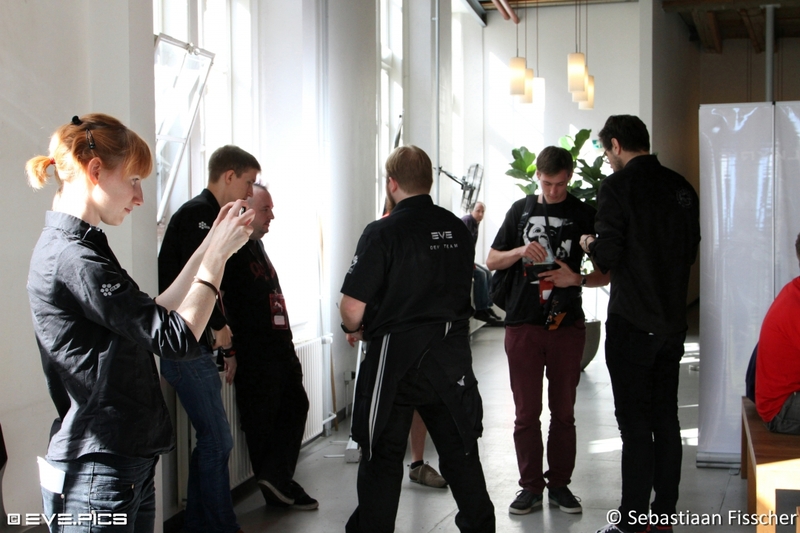 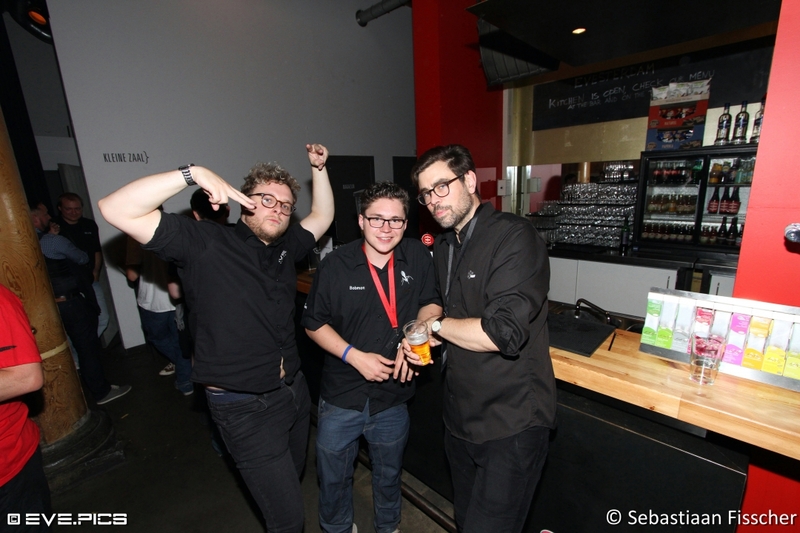 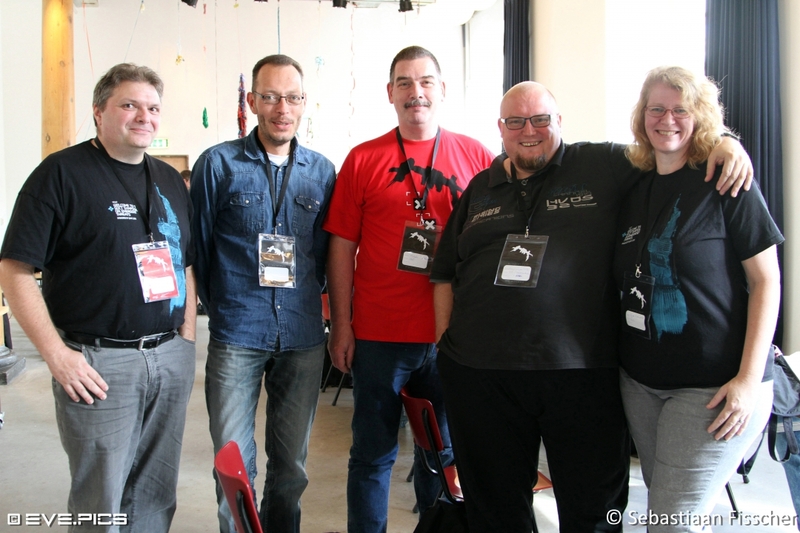 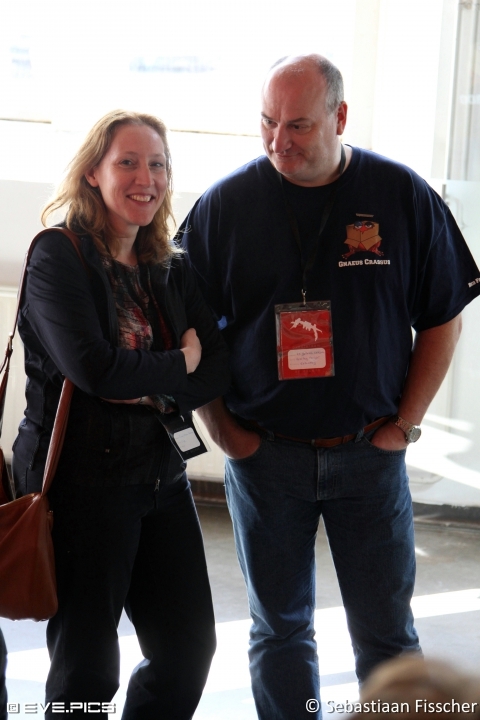 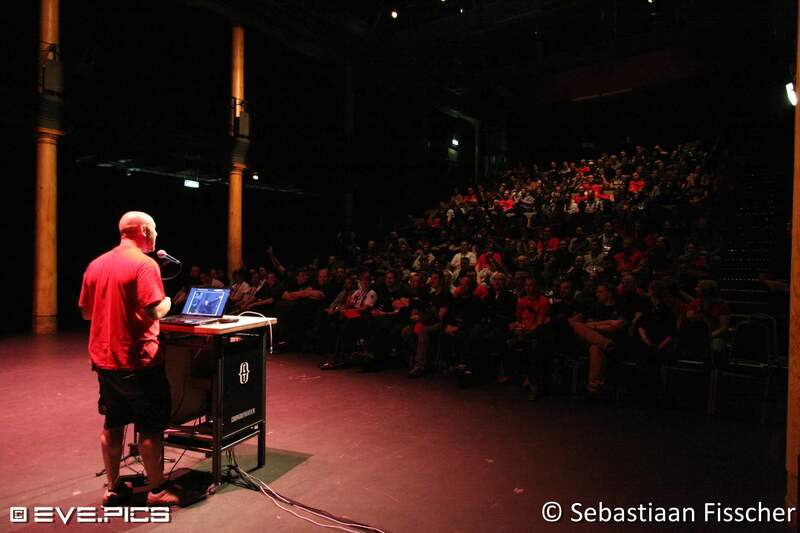 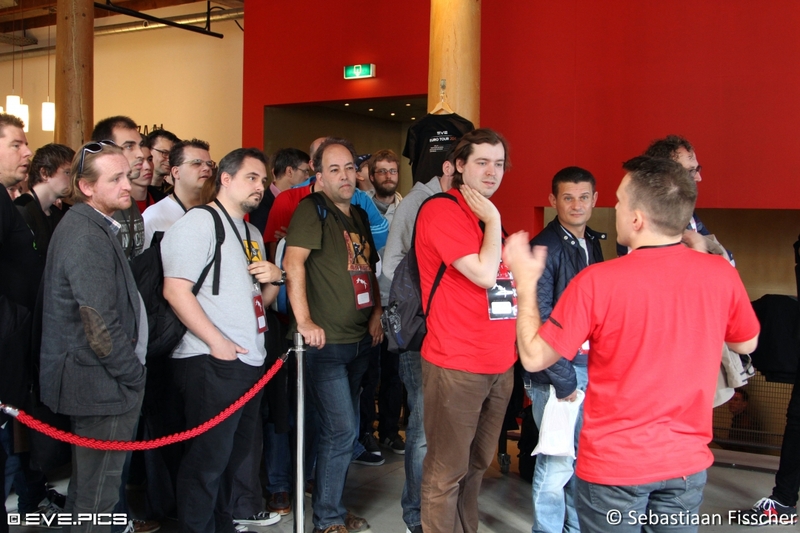 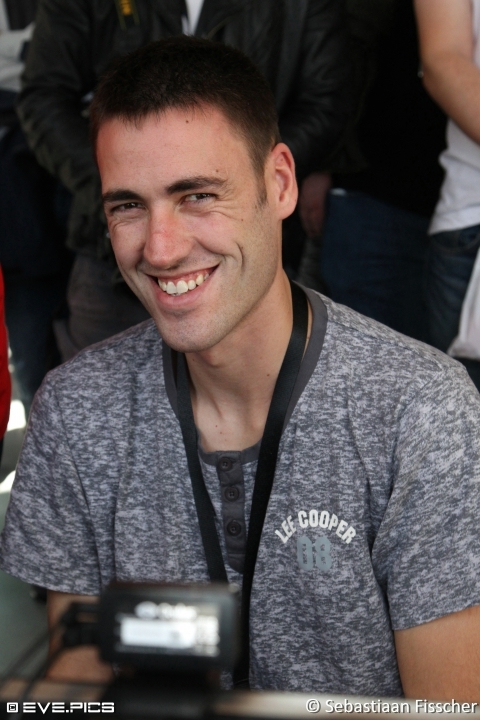 It was an amazing event, and I would really like to thank Valentijn Geirnaert, and all the other volunteers and personnel from CCP games for their continues effort to help organise Evesterdam. 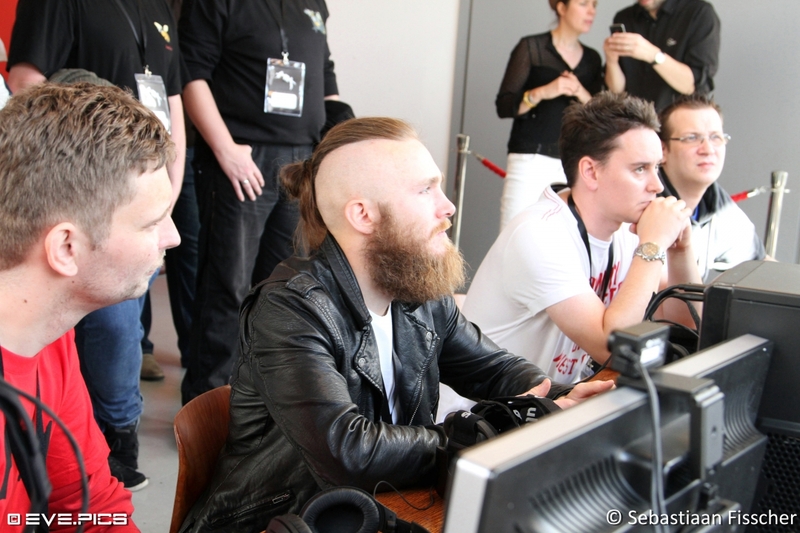 It’s very inspiring and motivating to meet other pilots and hearing their stories and their vision on New Eden. 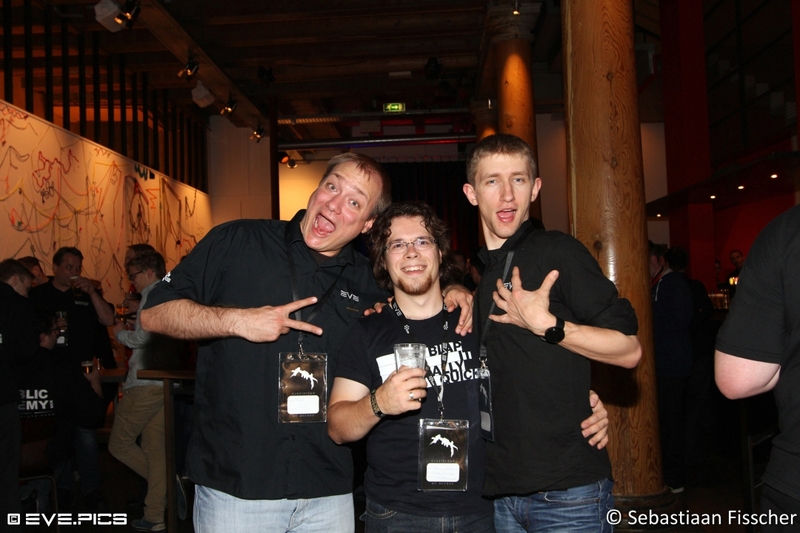 For now, we only have the pictures and memories, and I will be counting the days until Evesterdam 2016! 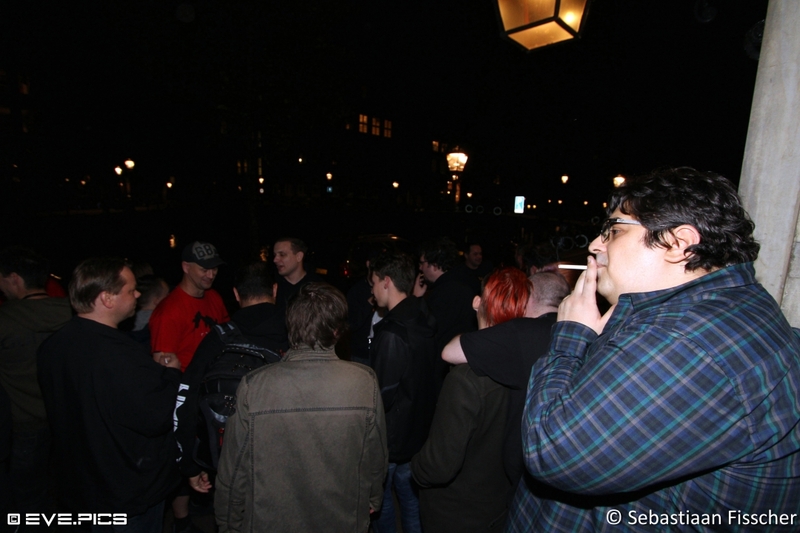 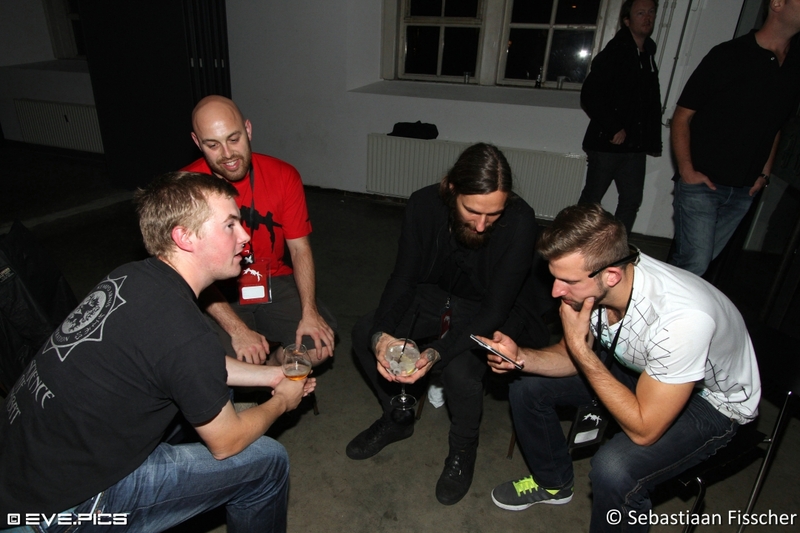 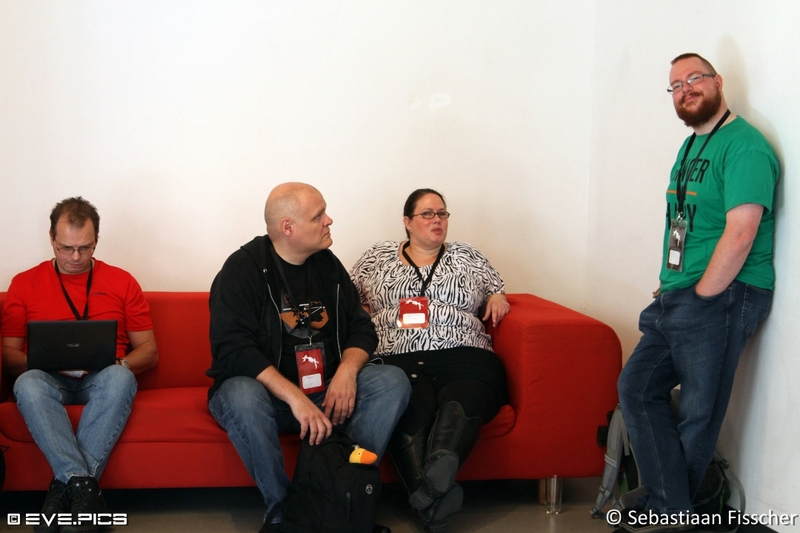 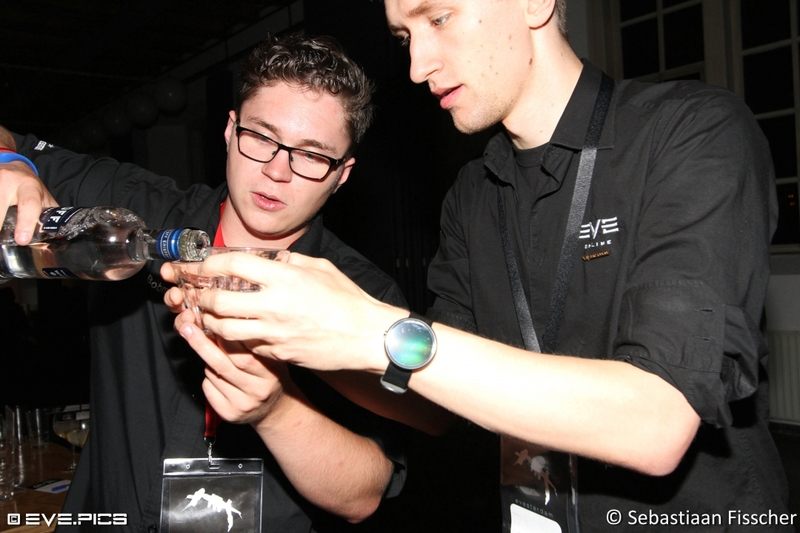 Check out all of the Evesterdam 2015 pictures here!